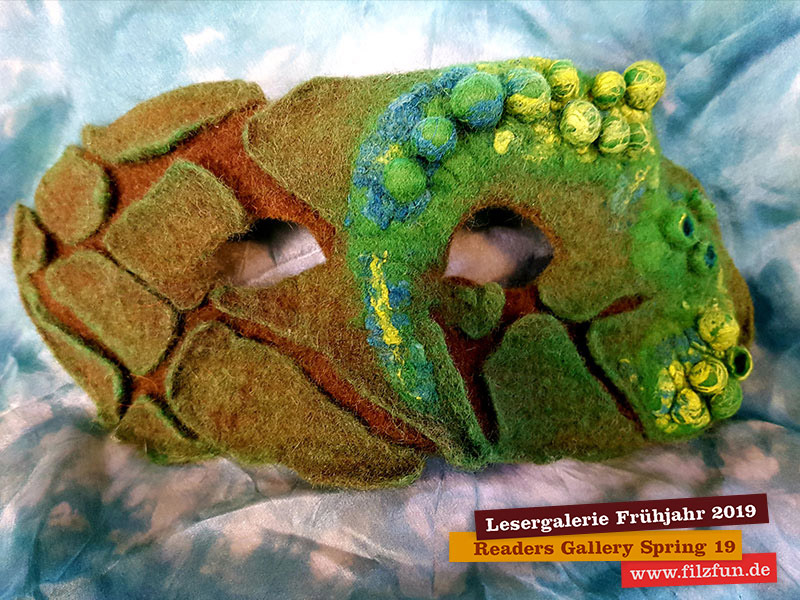 Would you like to see what the readers of the verFilzt Und zugeNäht felt and create? 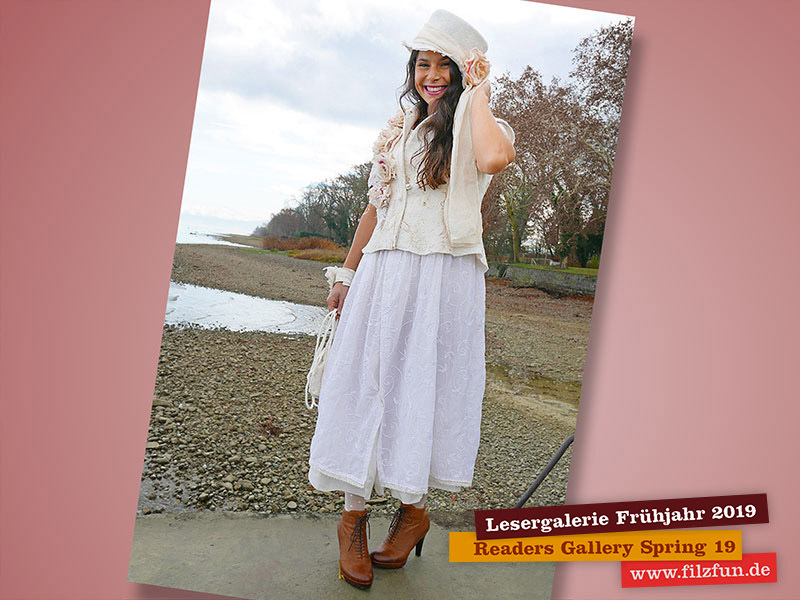 Click on the first picture and a picture gallery will open up. 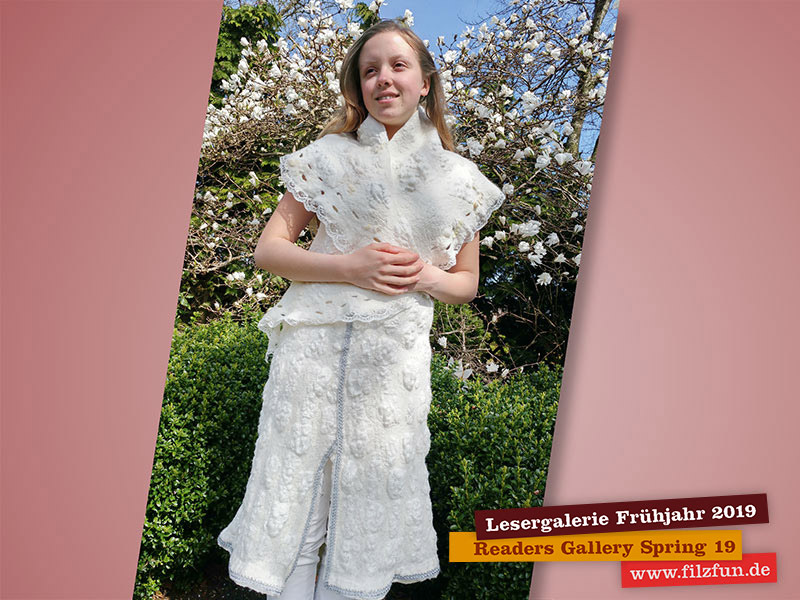 With a click on the right side of the picture you will get to the next picture. 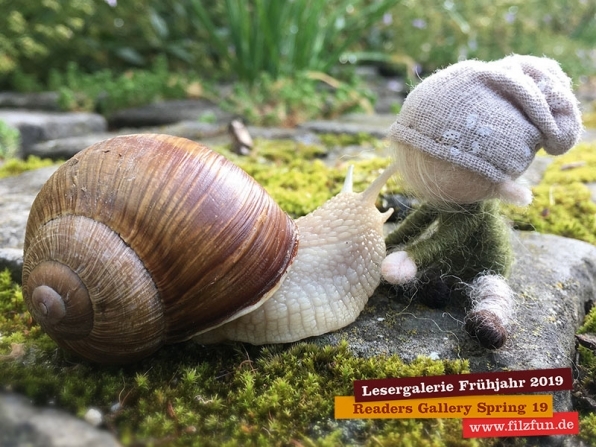 If you would like to go back to a previous picture, click on the left side of the actual picture. 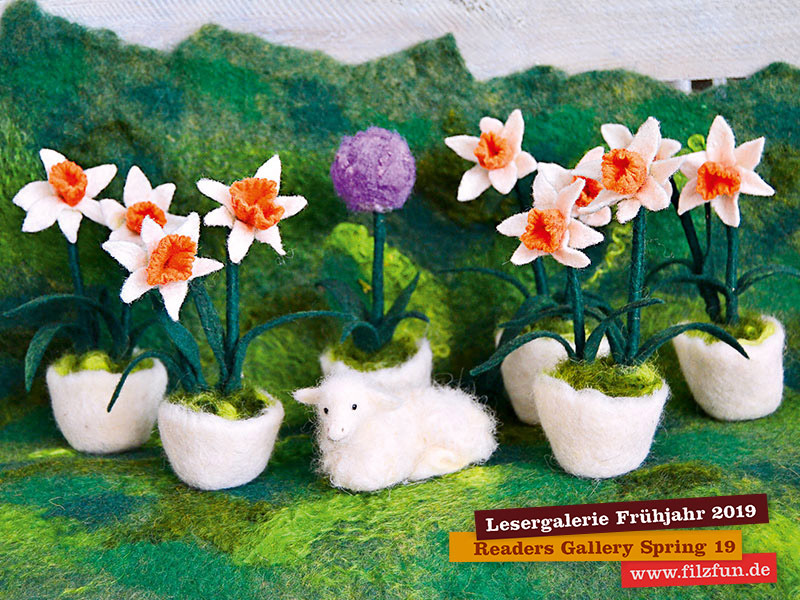 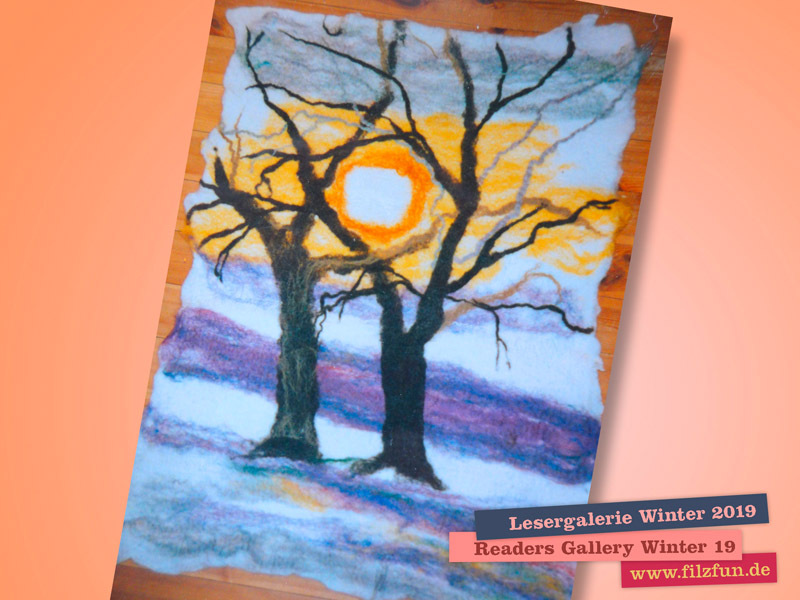 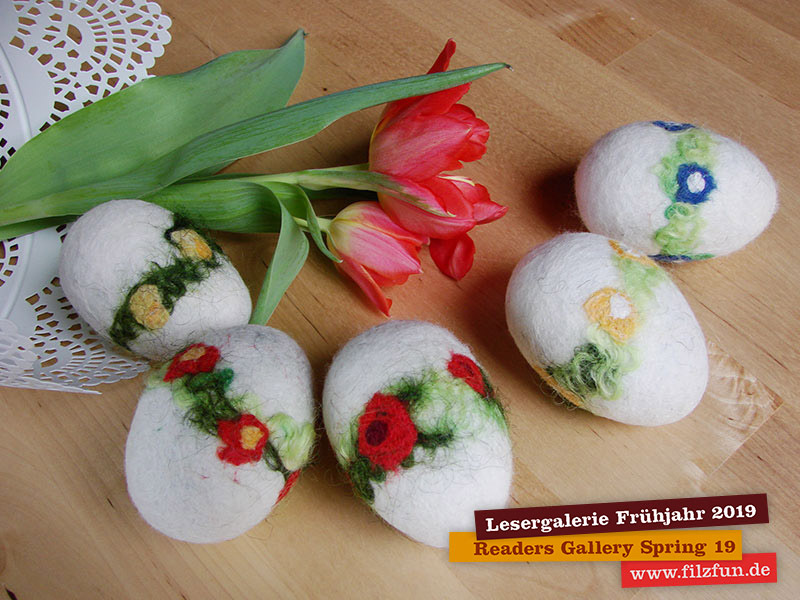 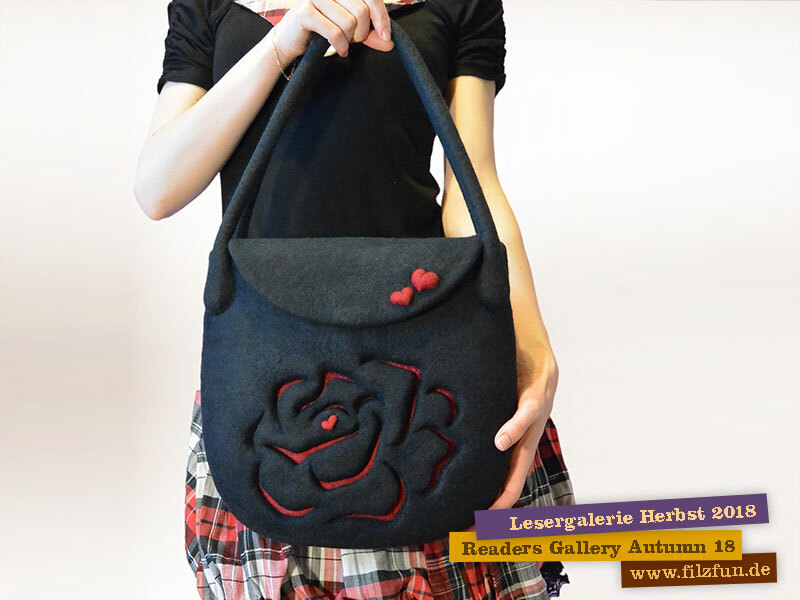 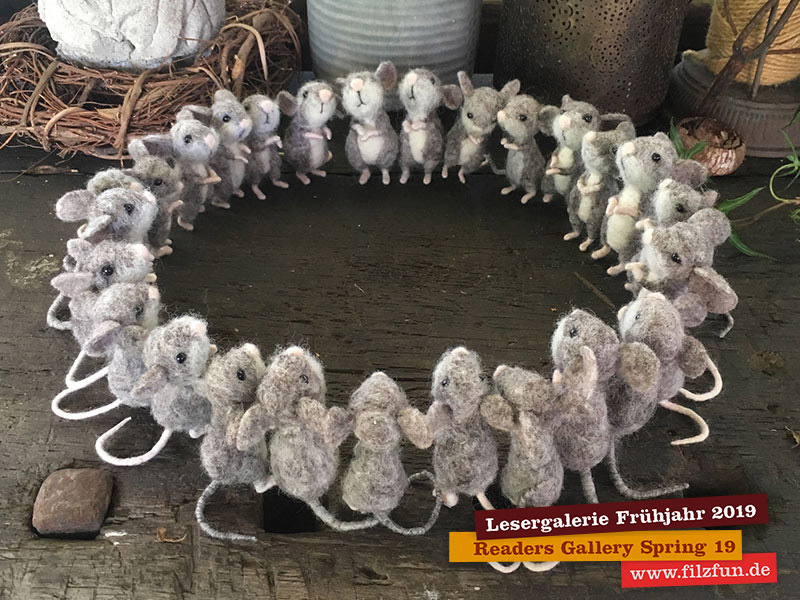 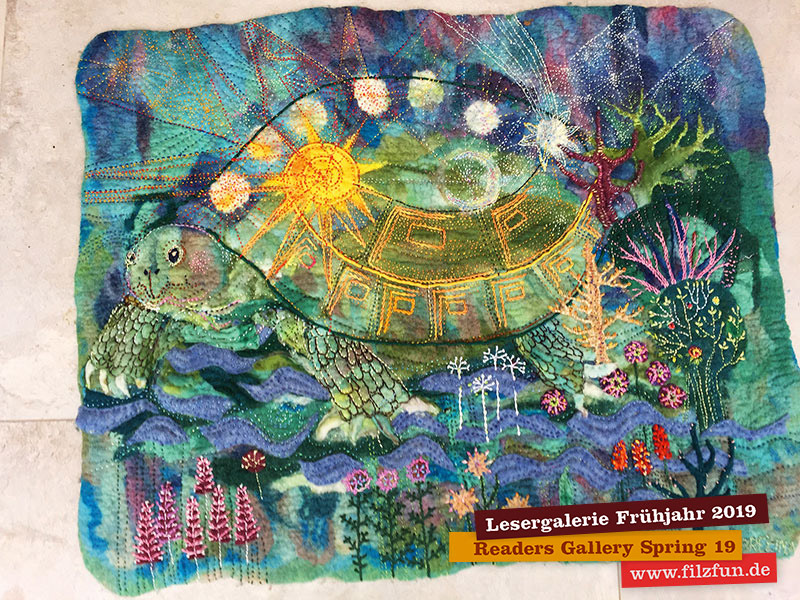 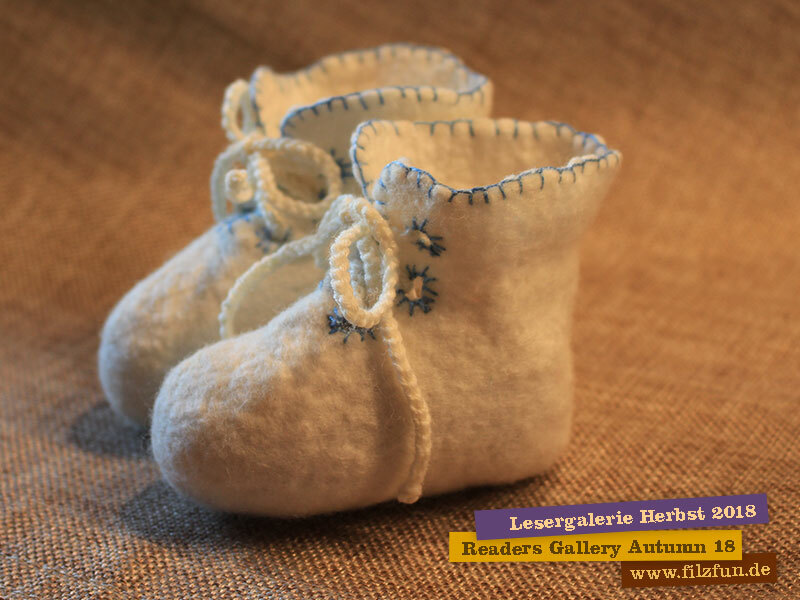 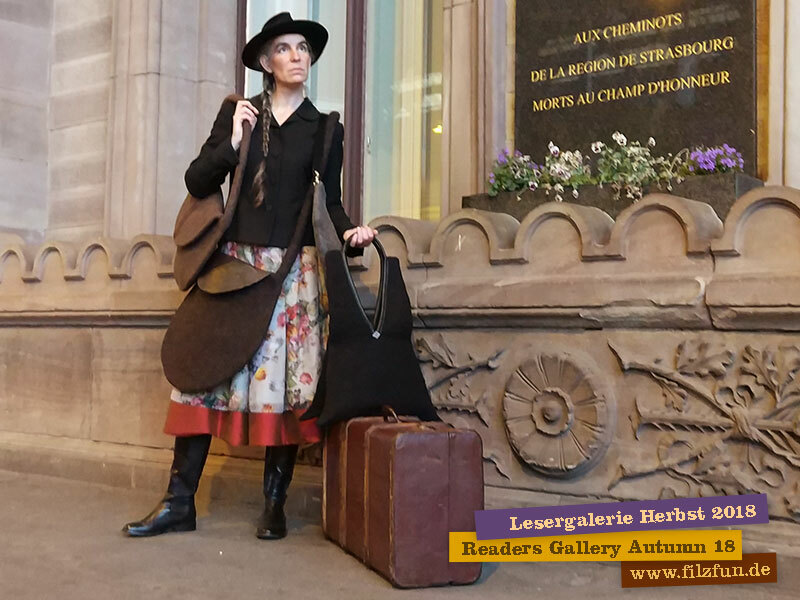 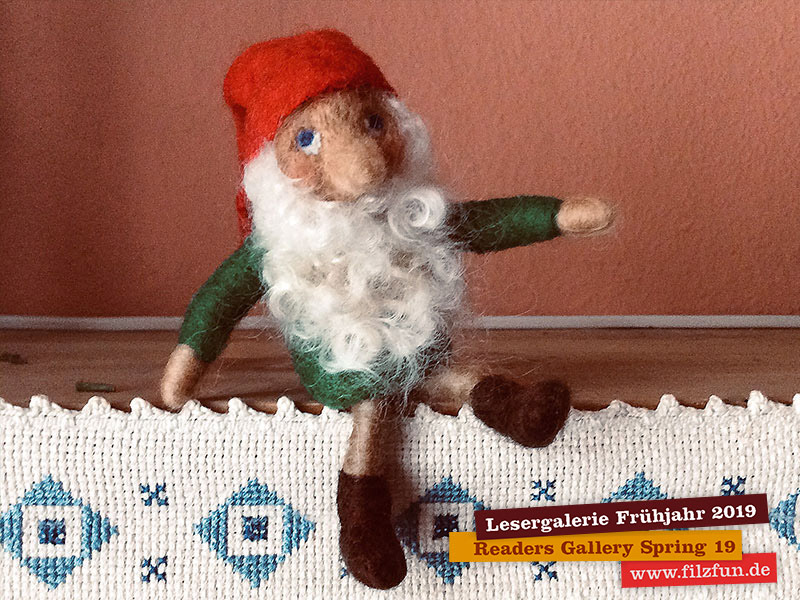 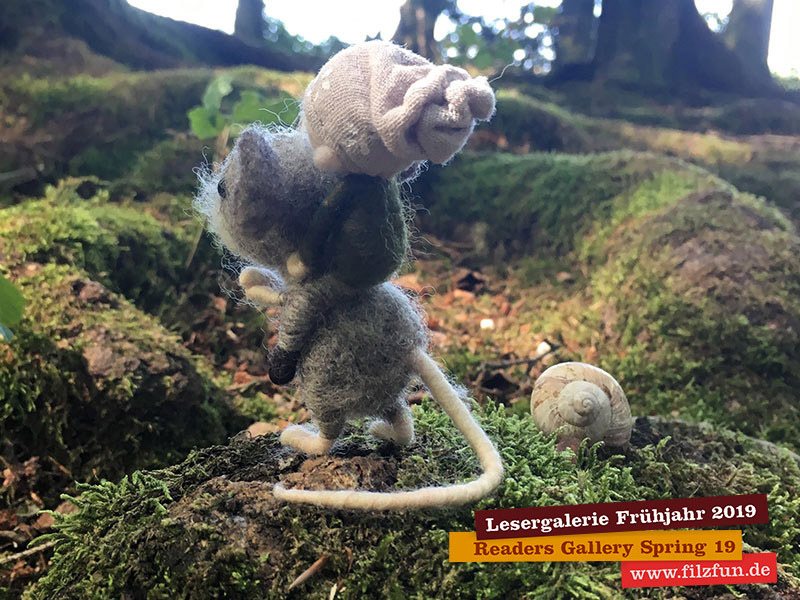 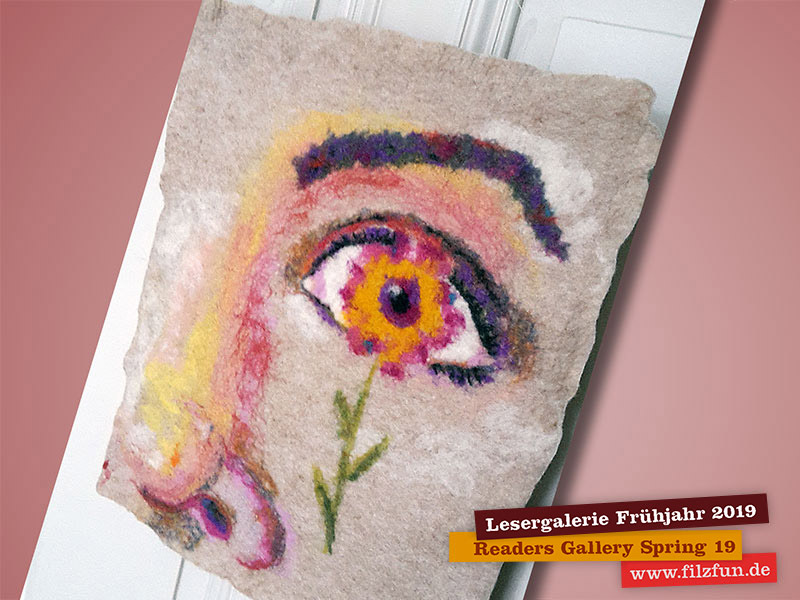 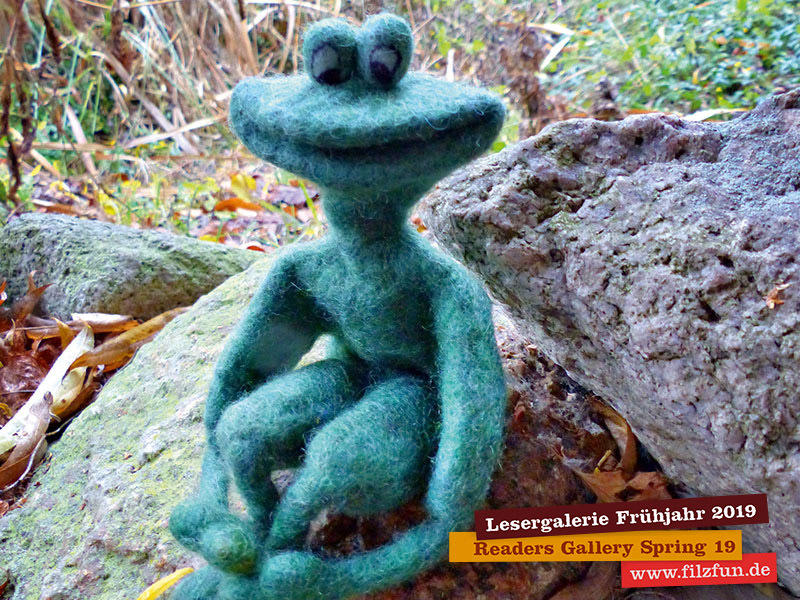 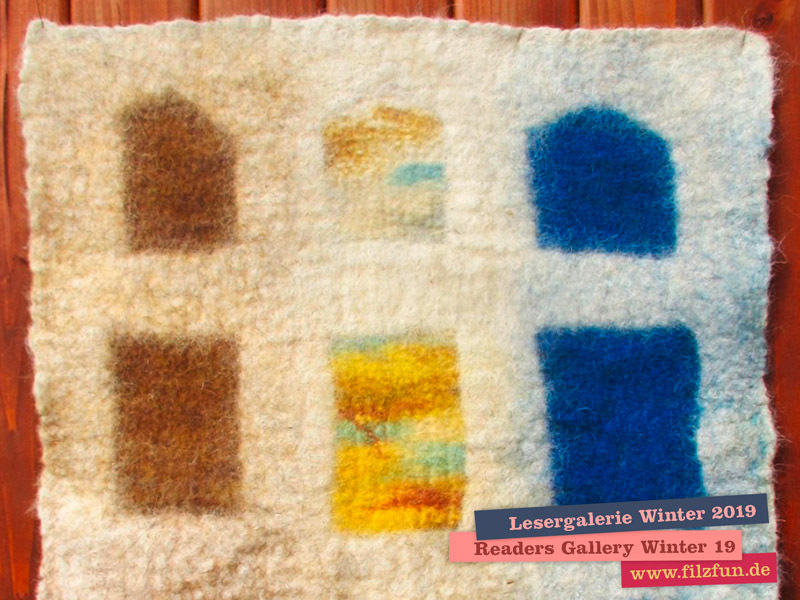 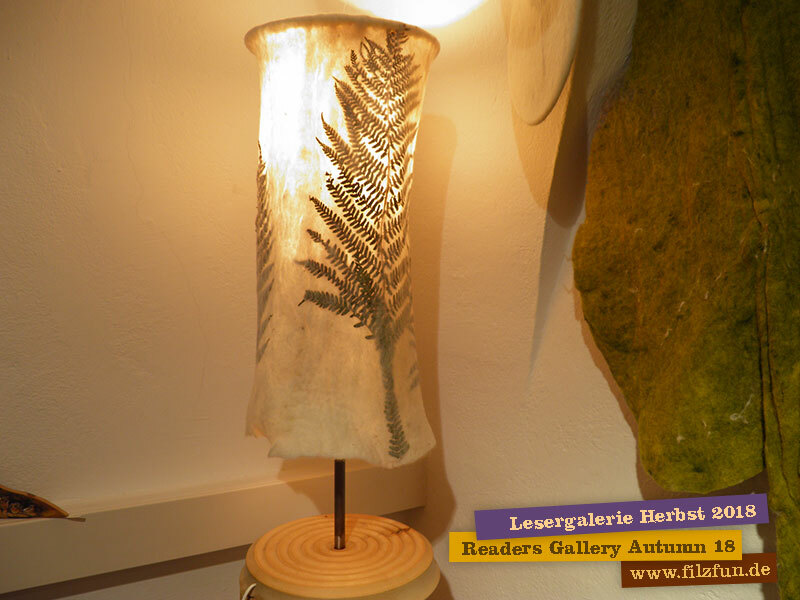 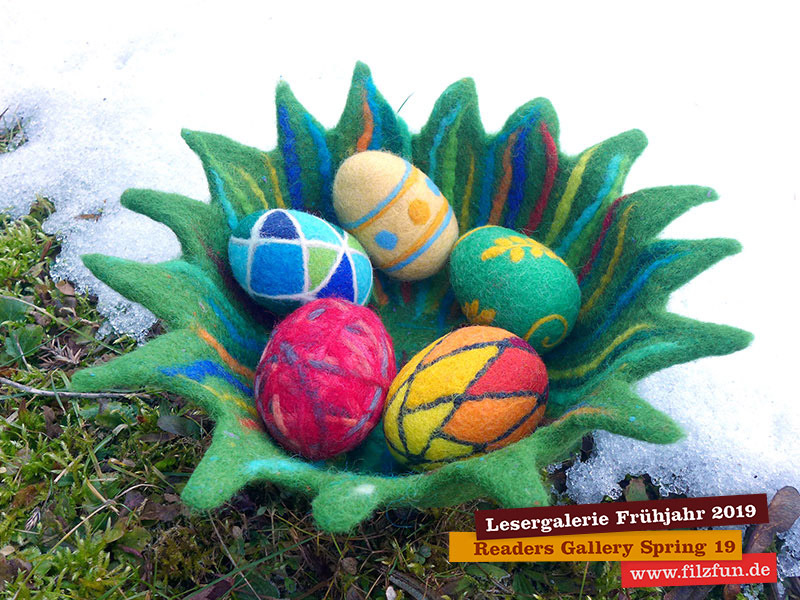 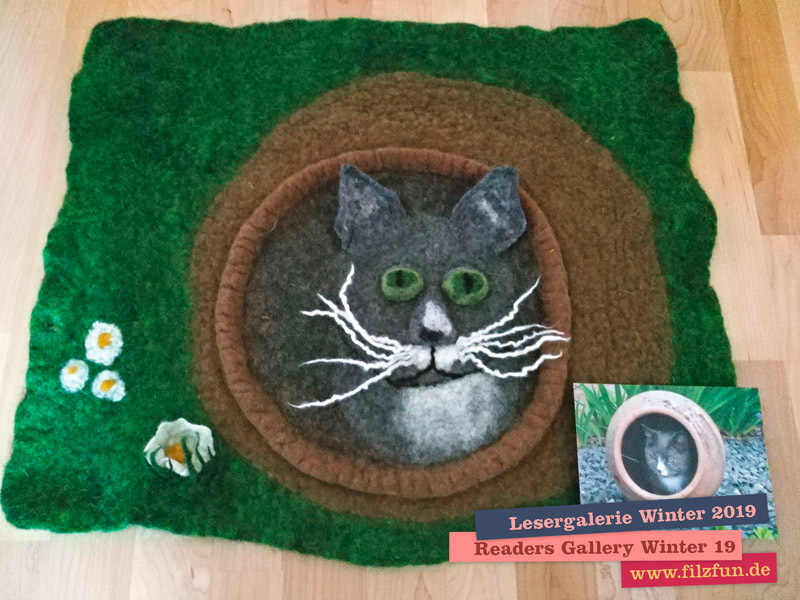 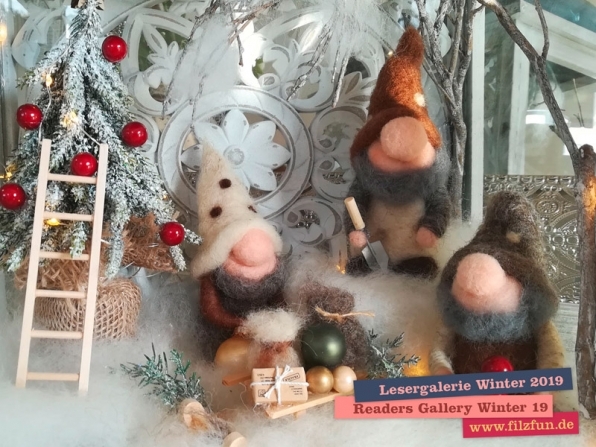 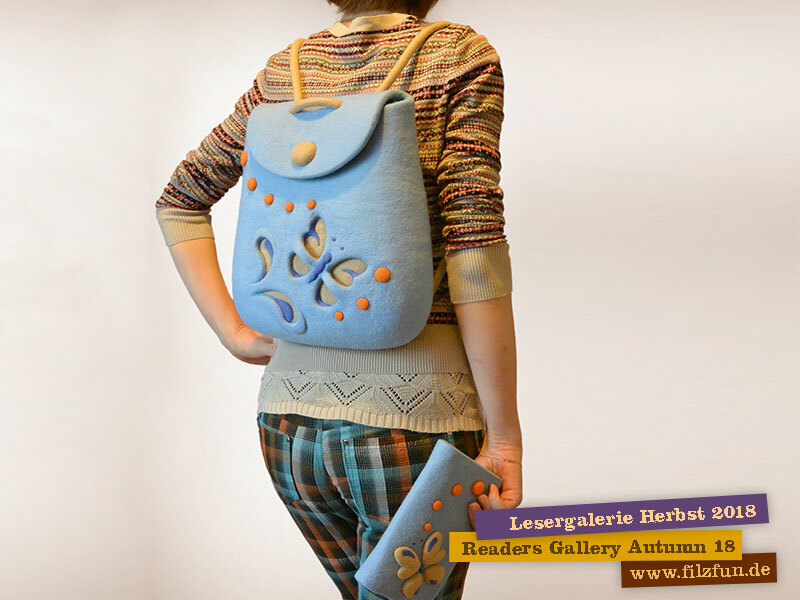 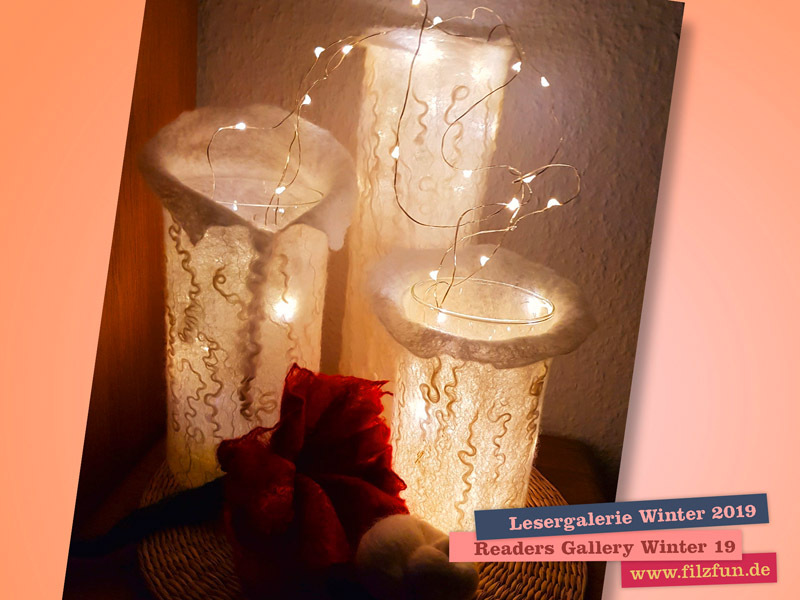 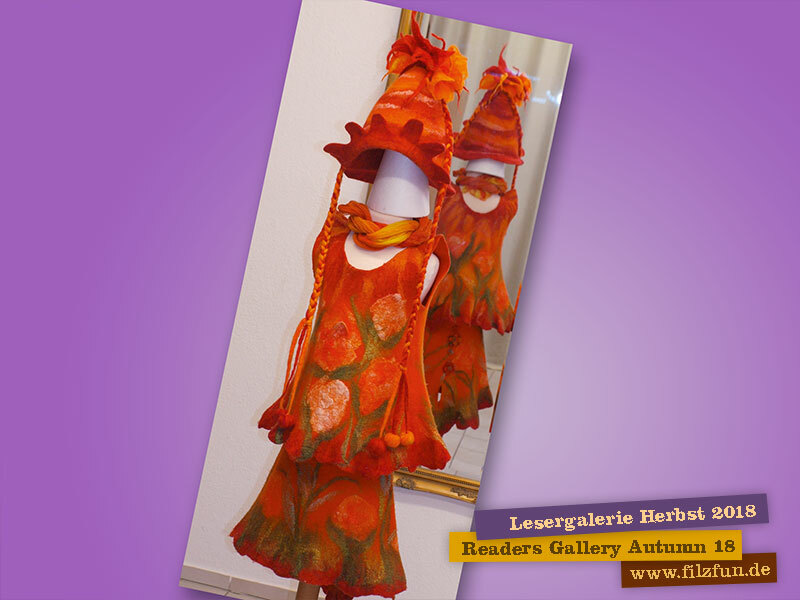 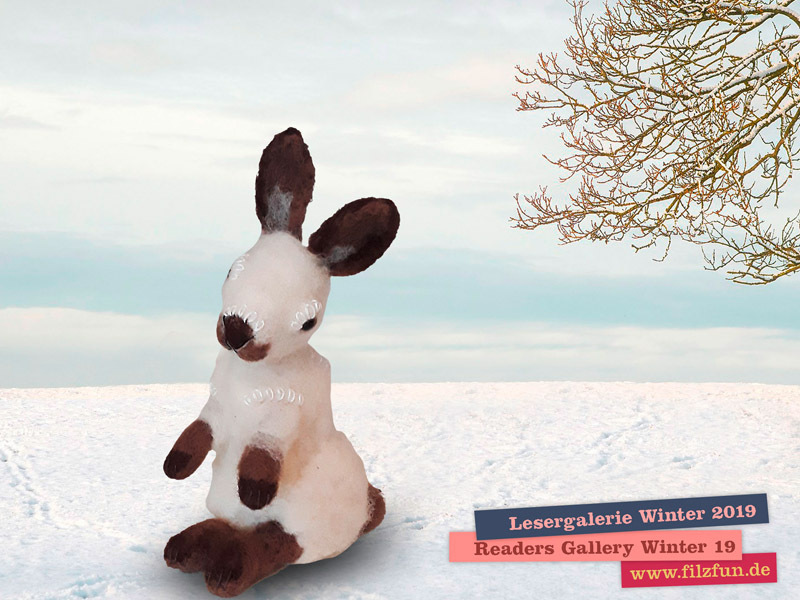 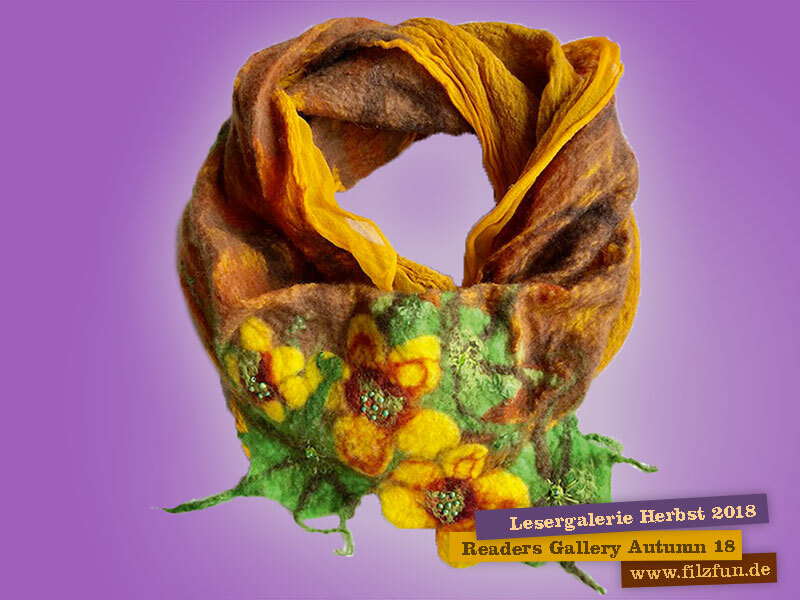 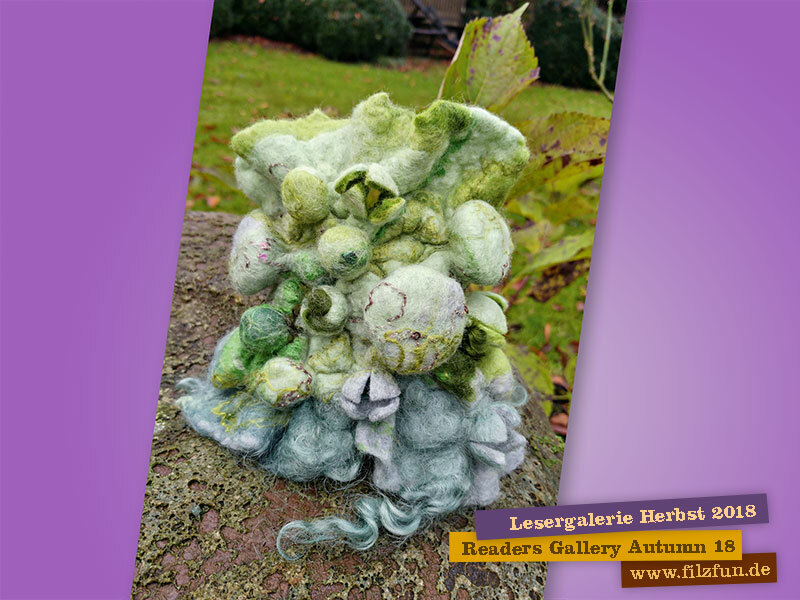 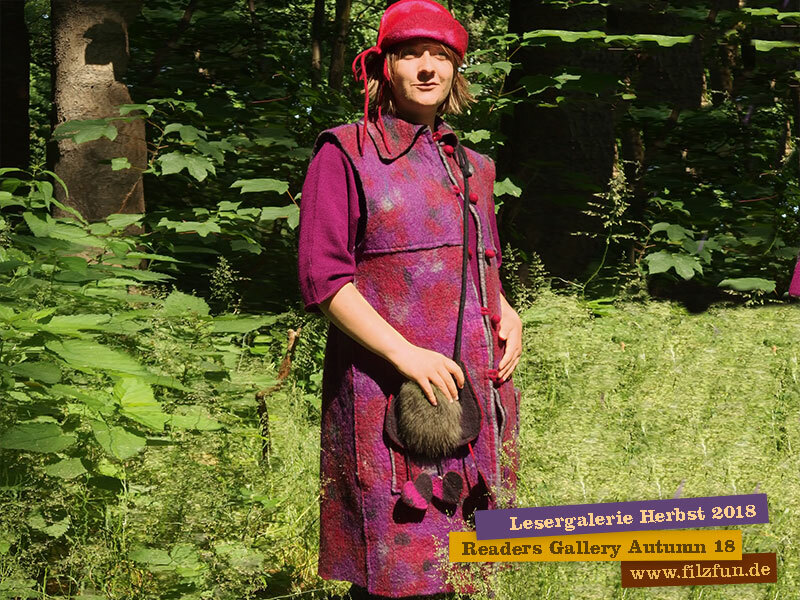 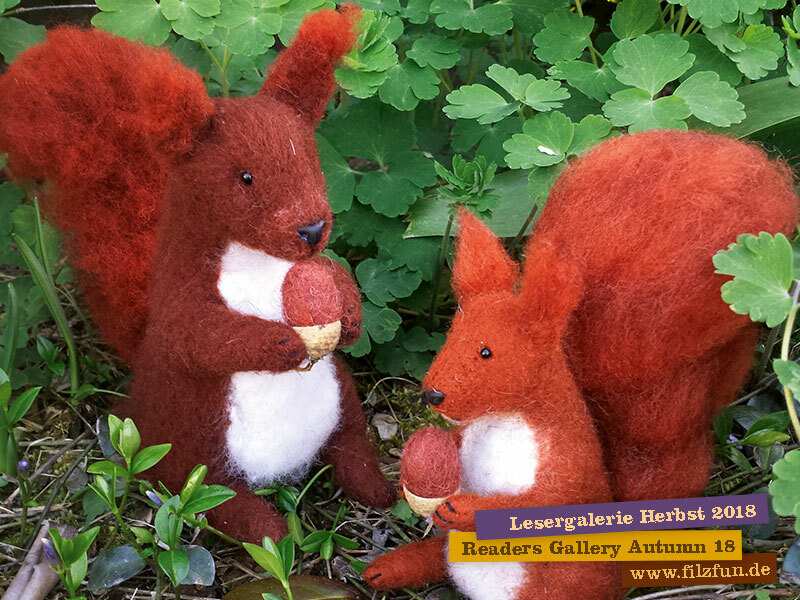 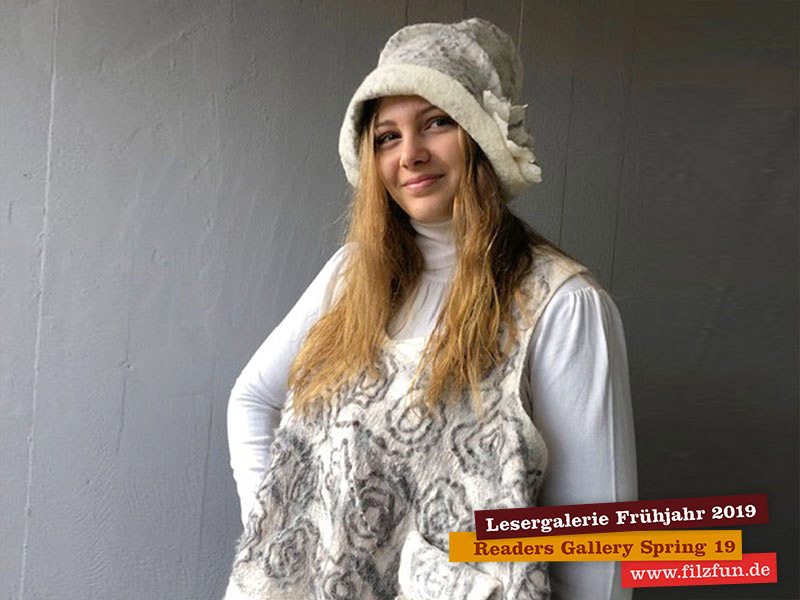 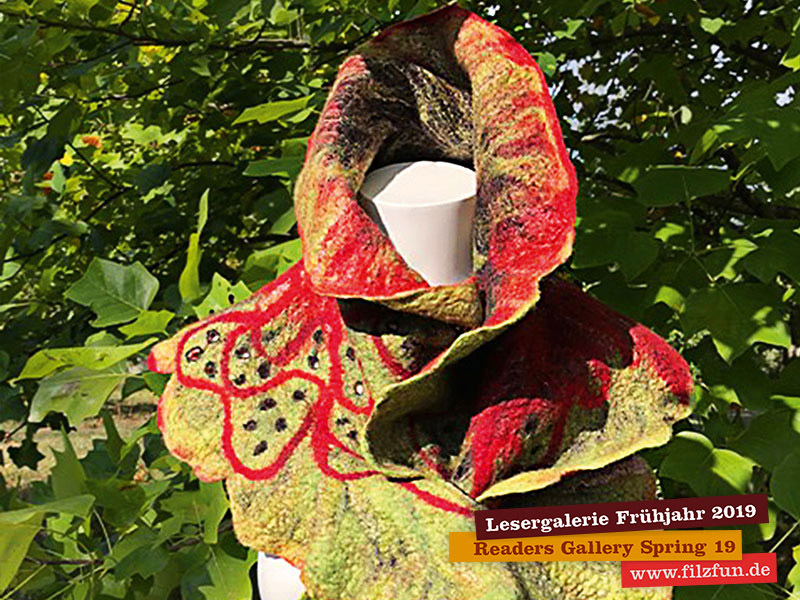 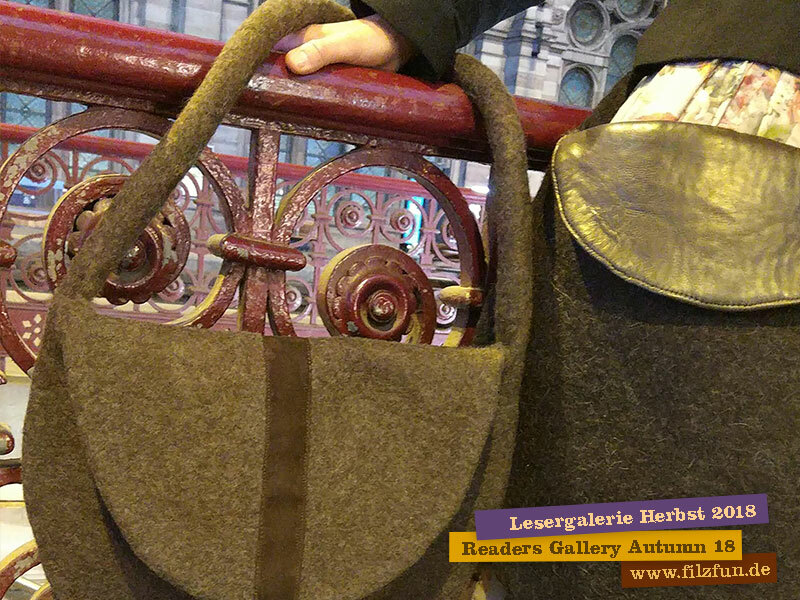 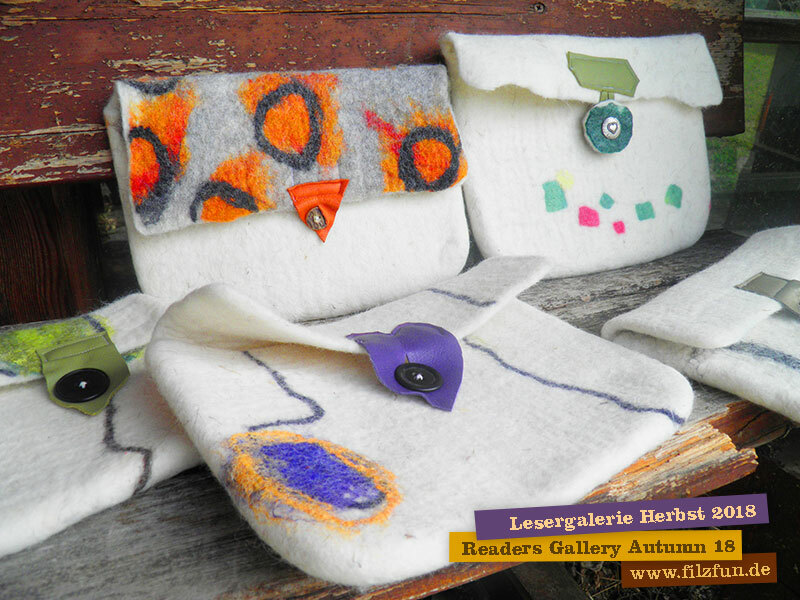 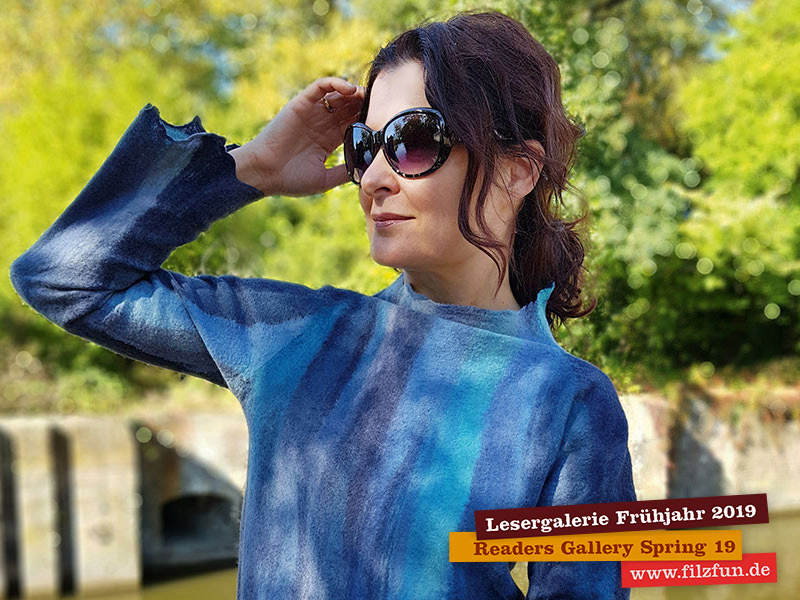 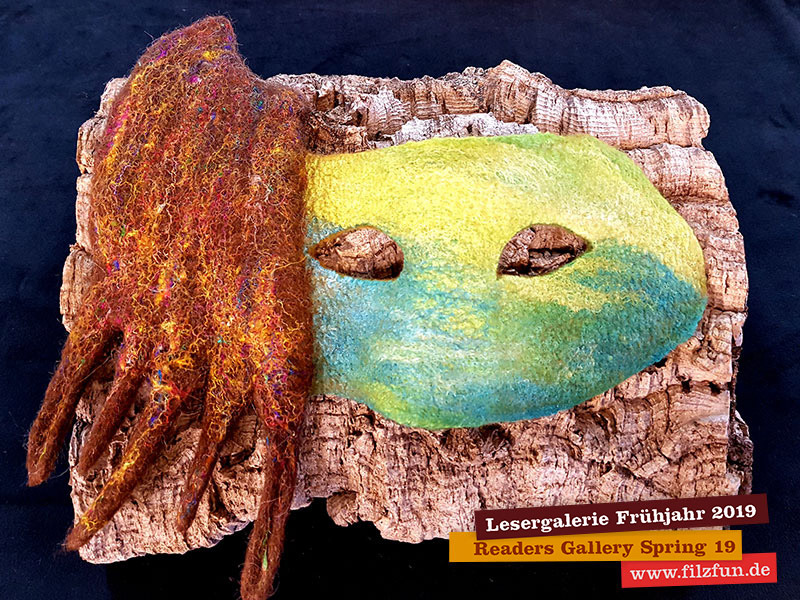 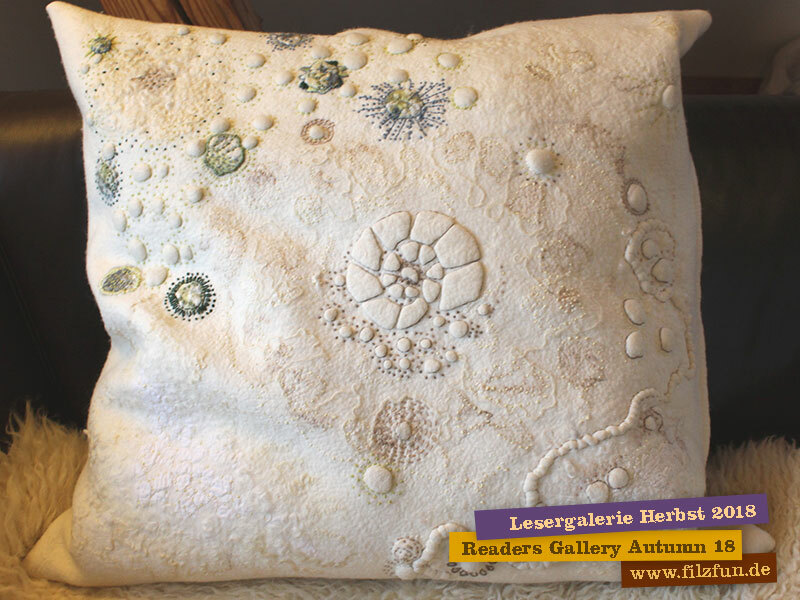 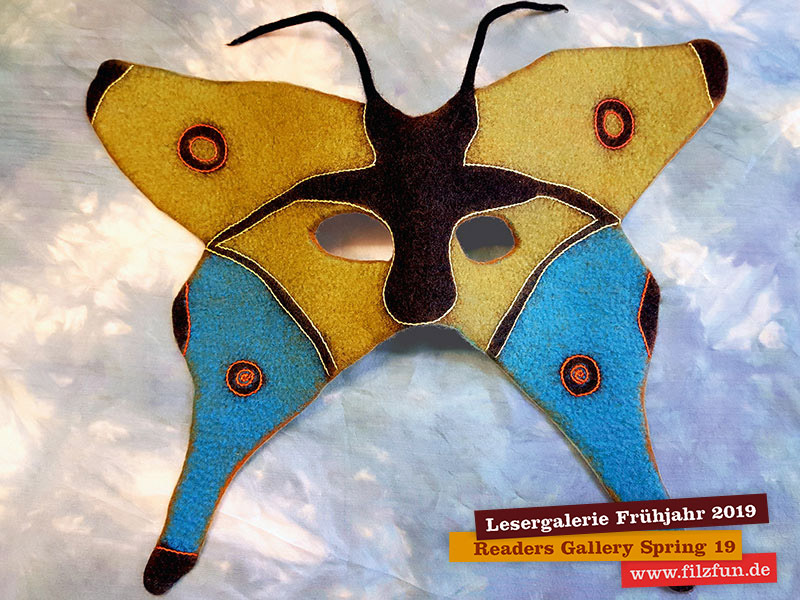 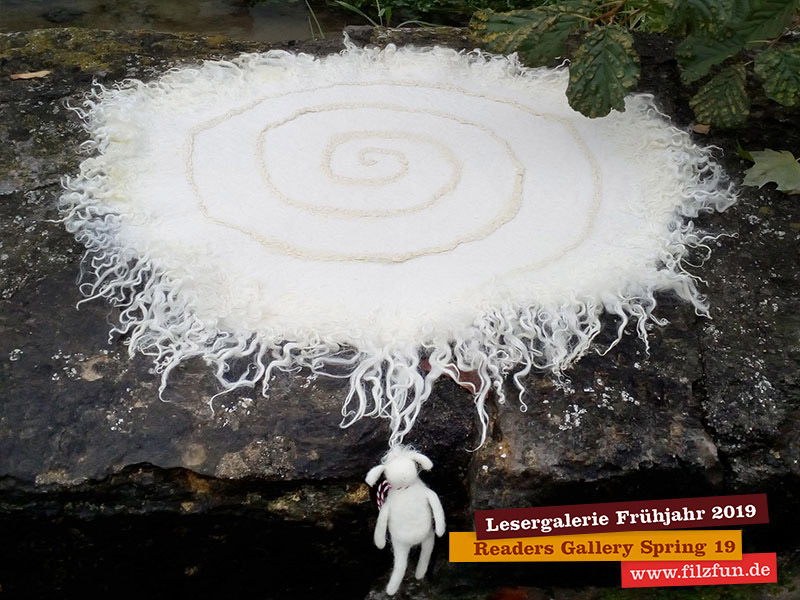 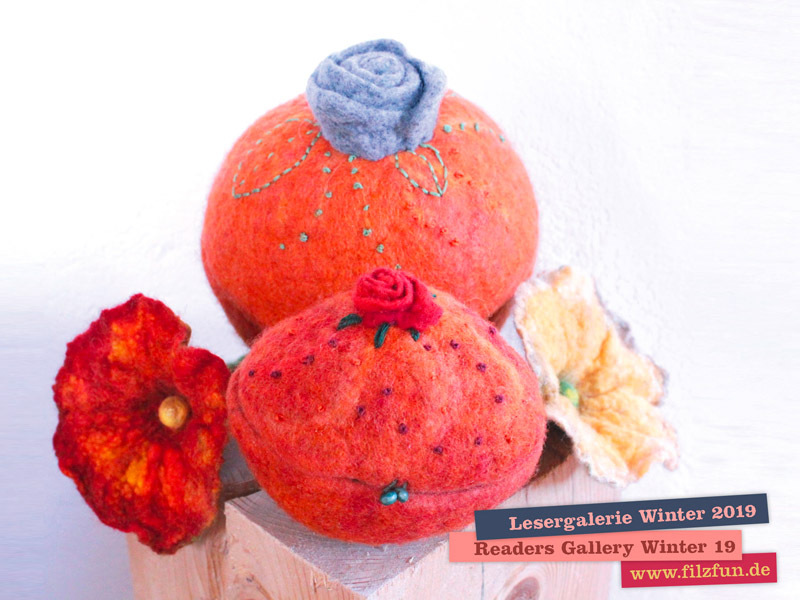 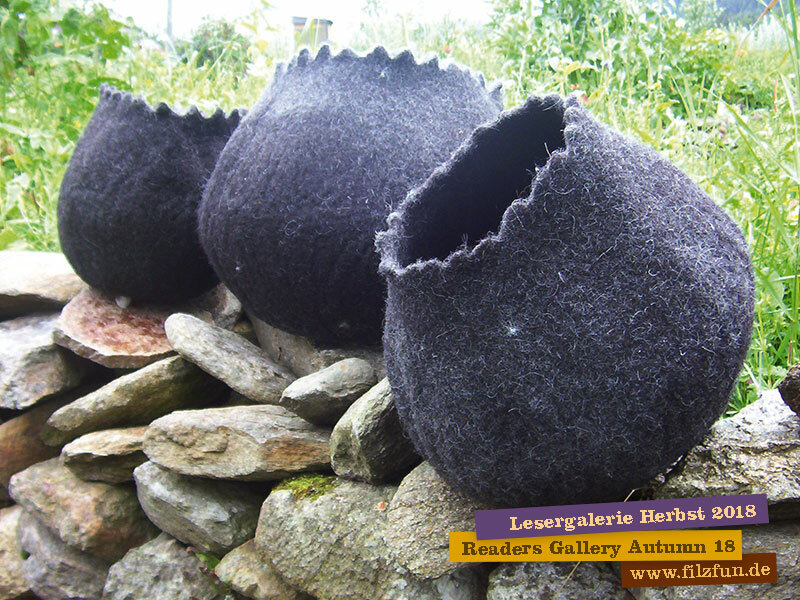 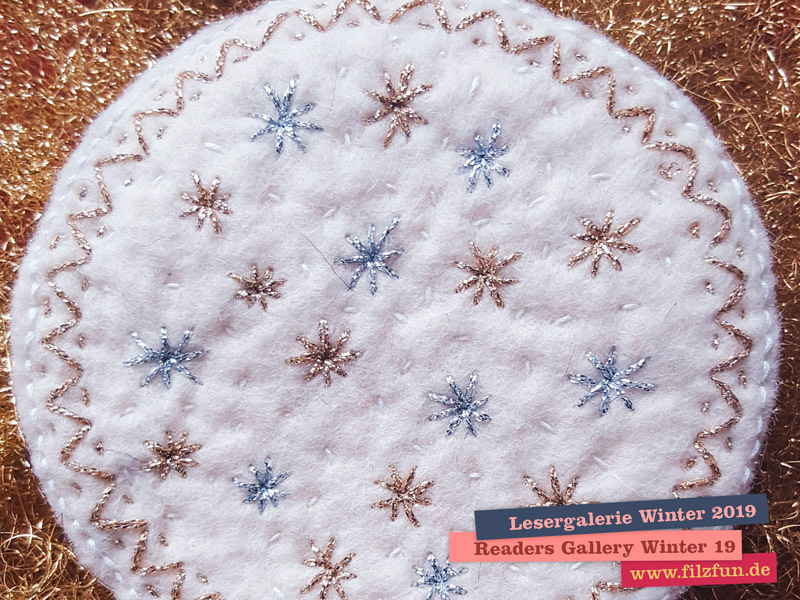 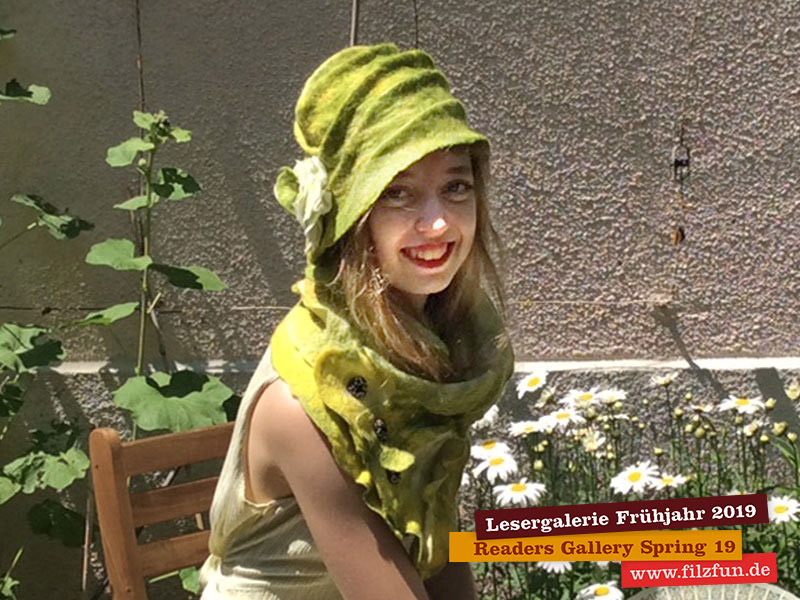 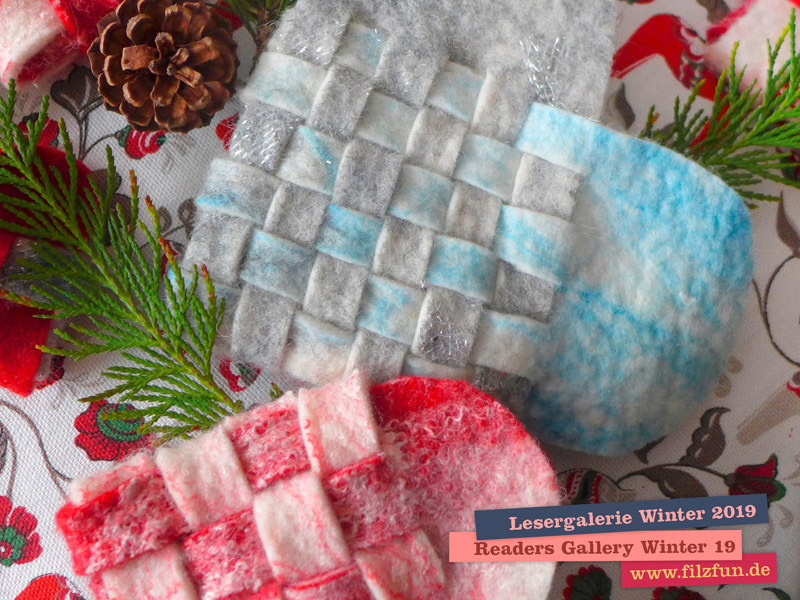 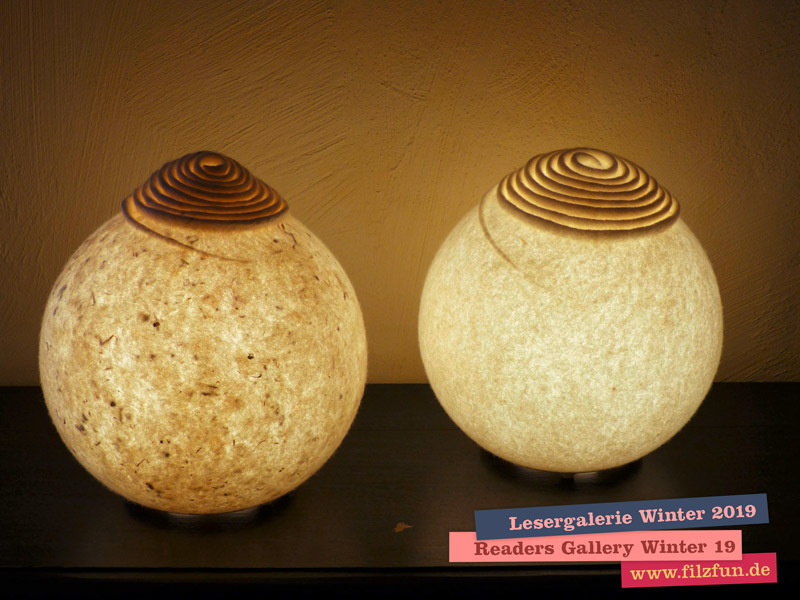 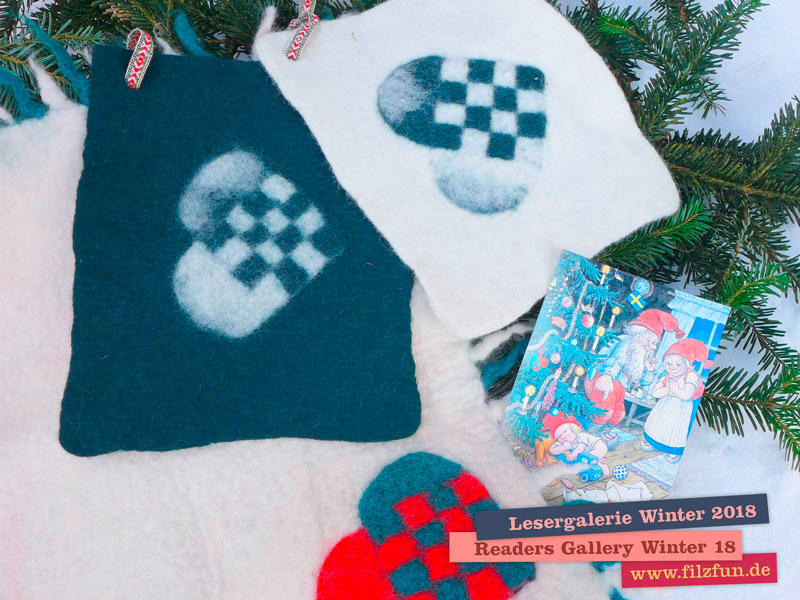 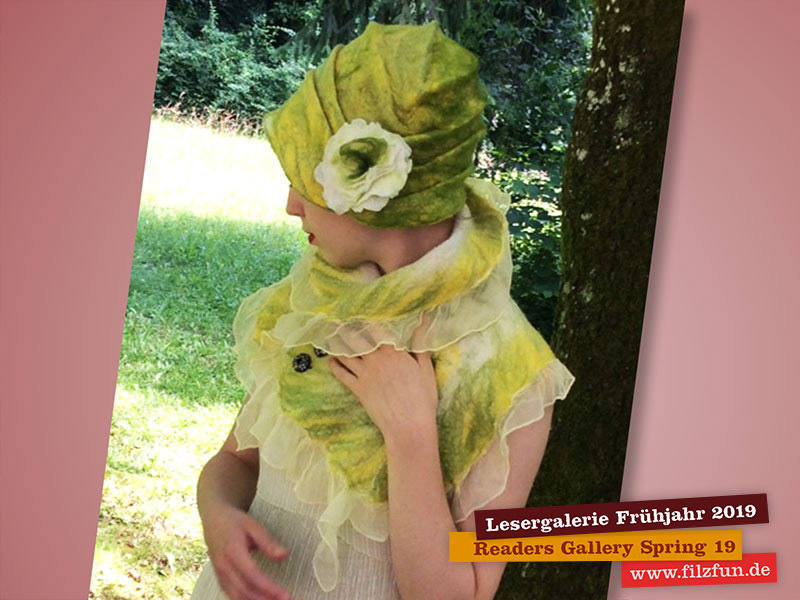 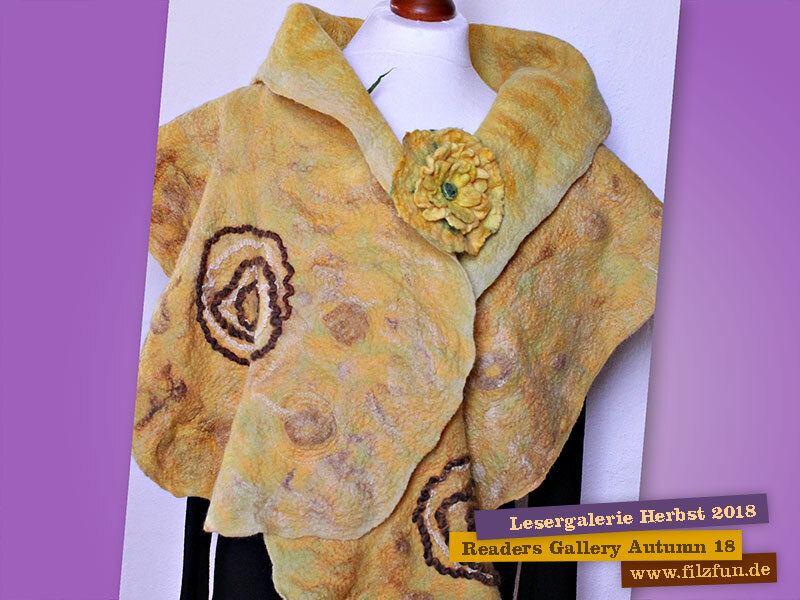 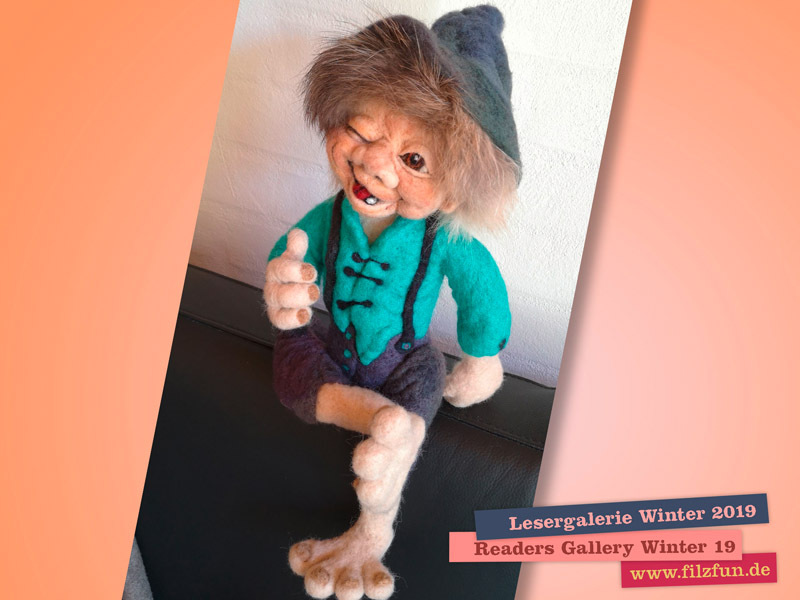 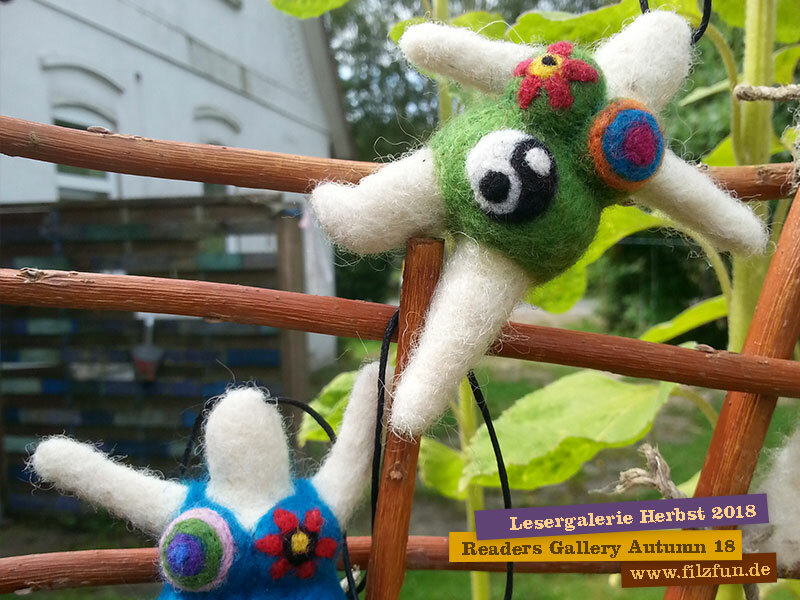 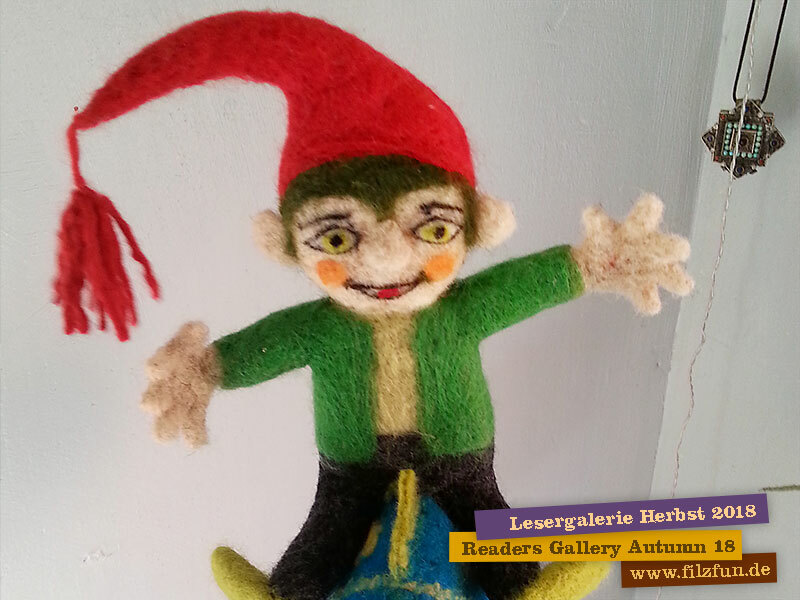 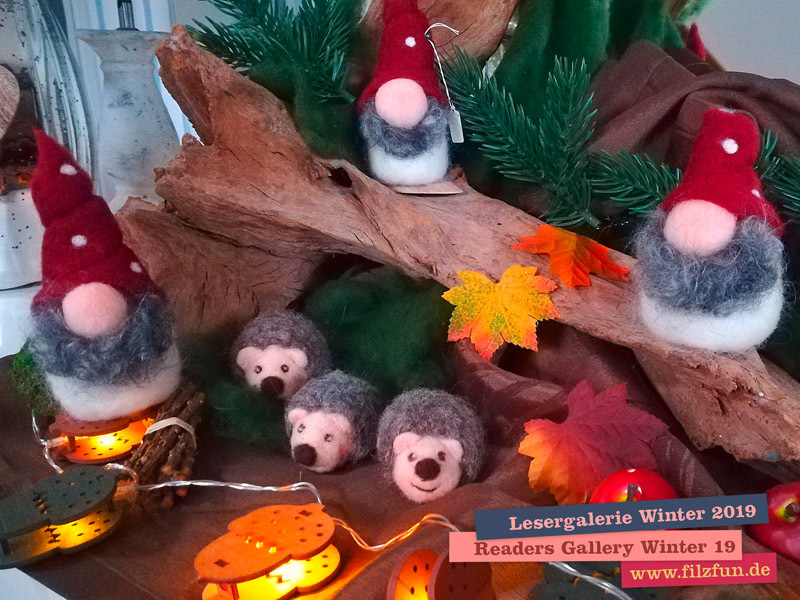 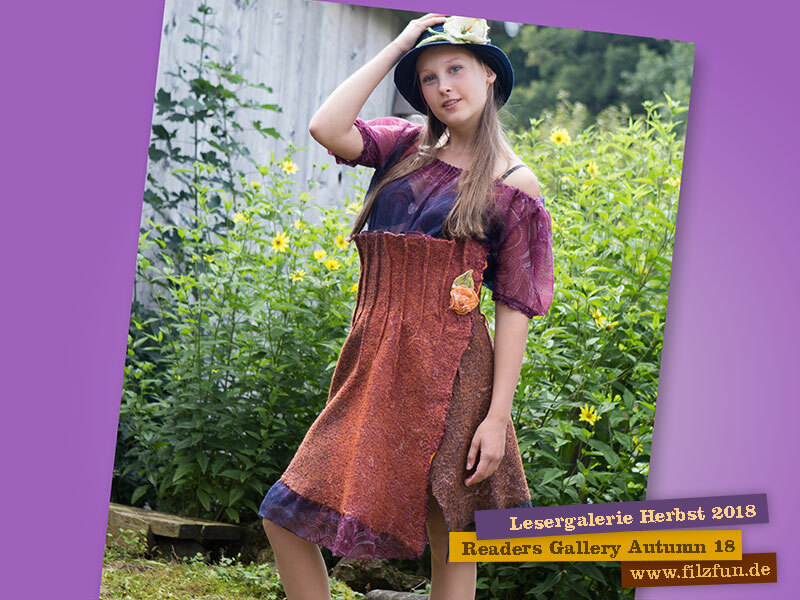 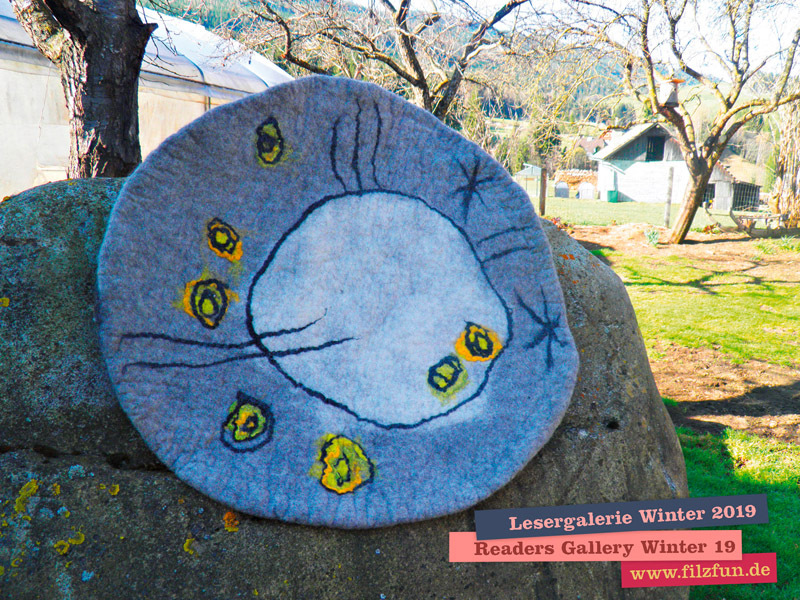 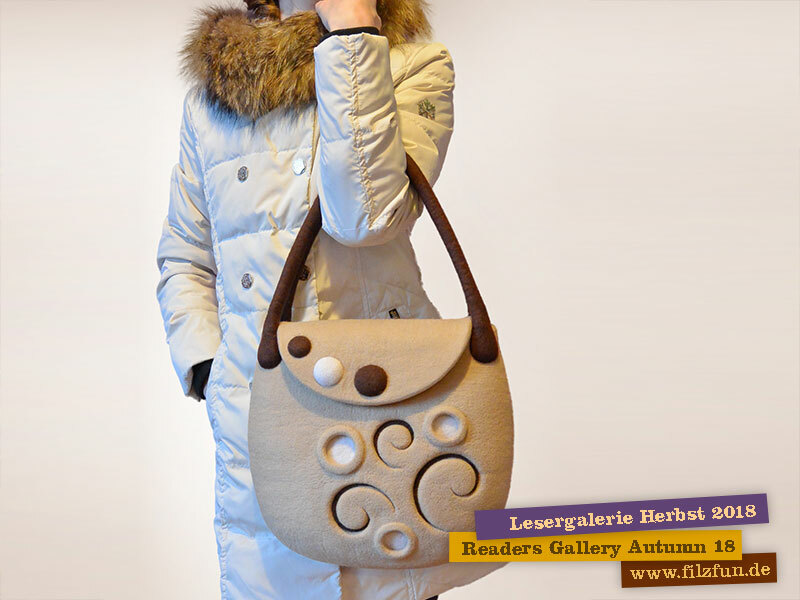 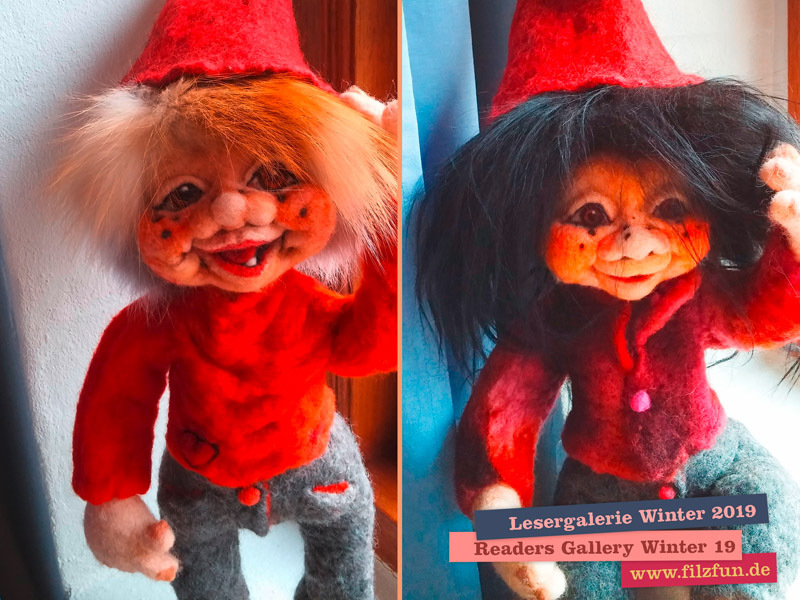 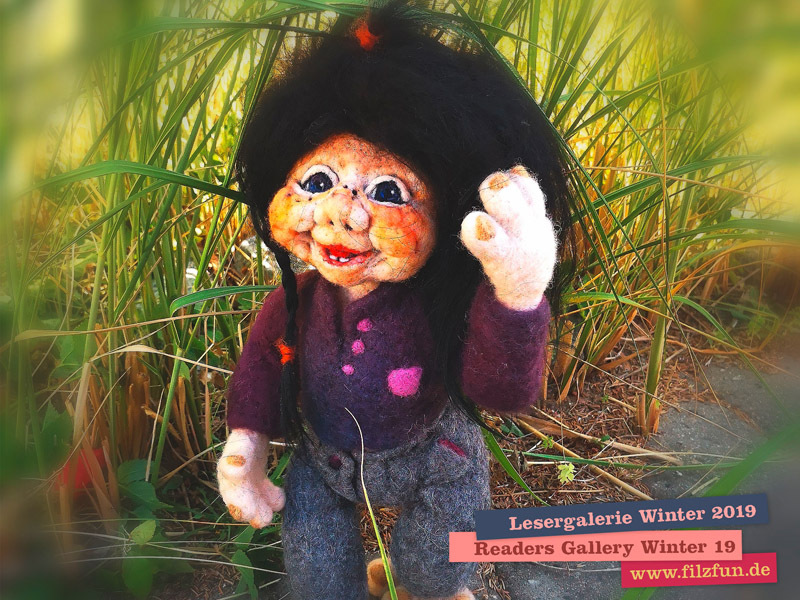 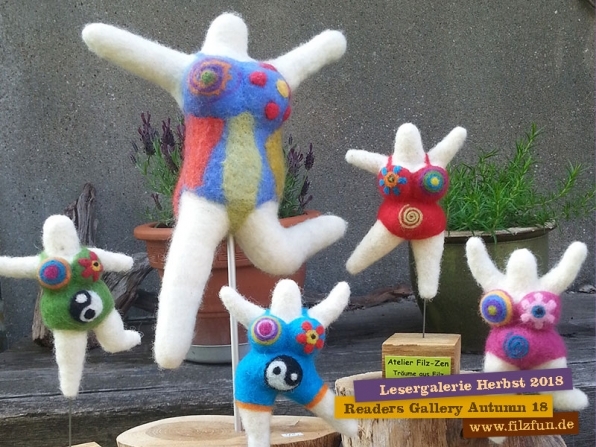 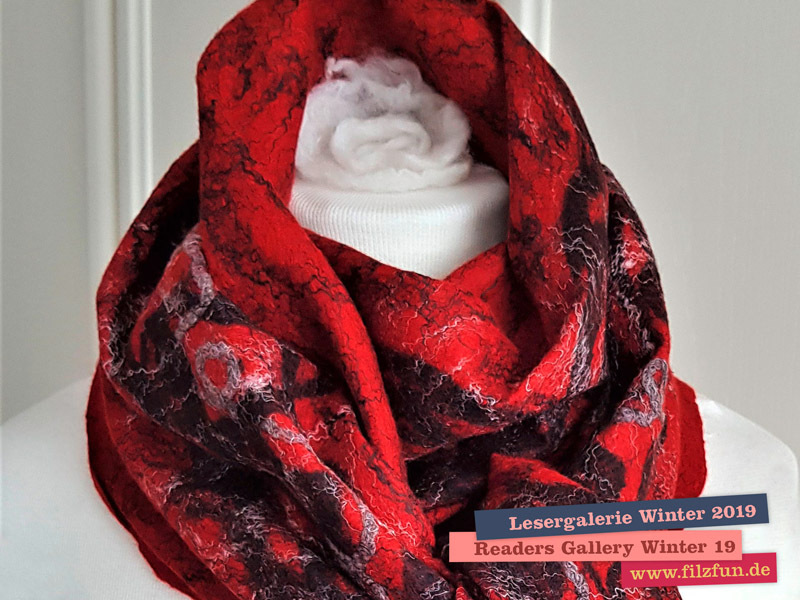 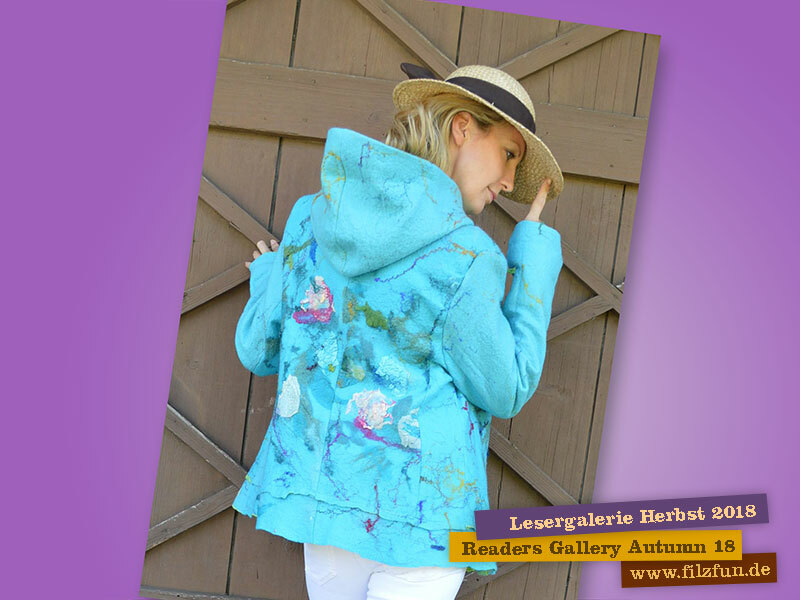 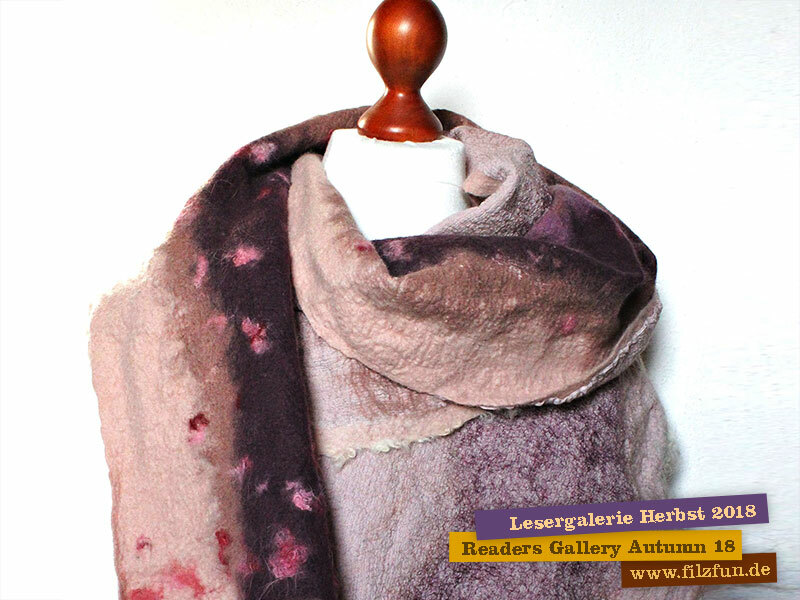 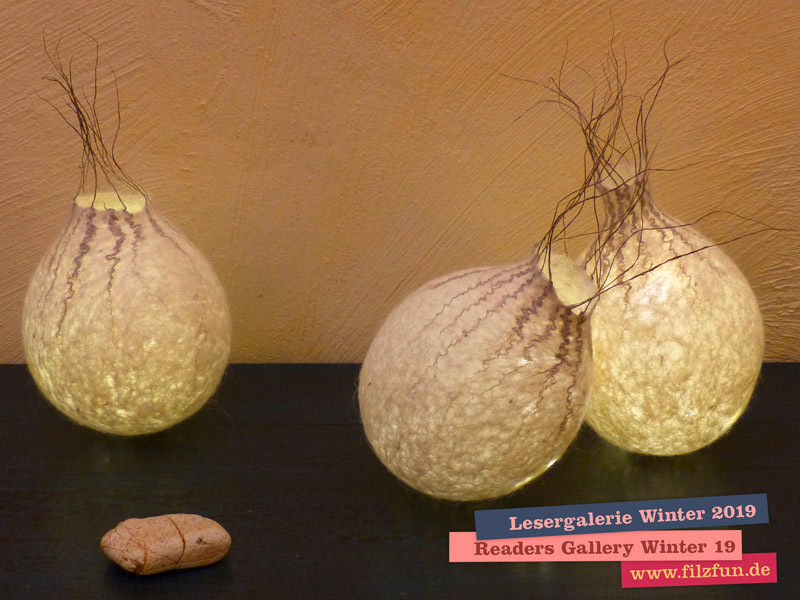 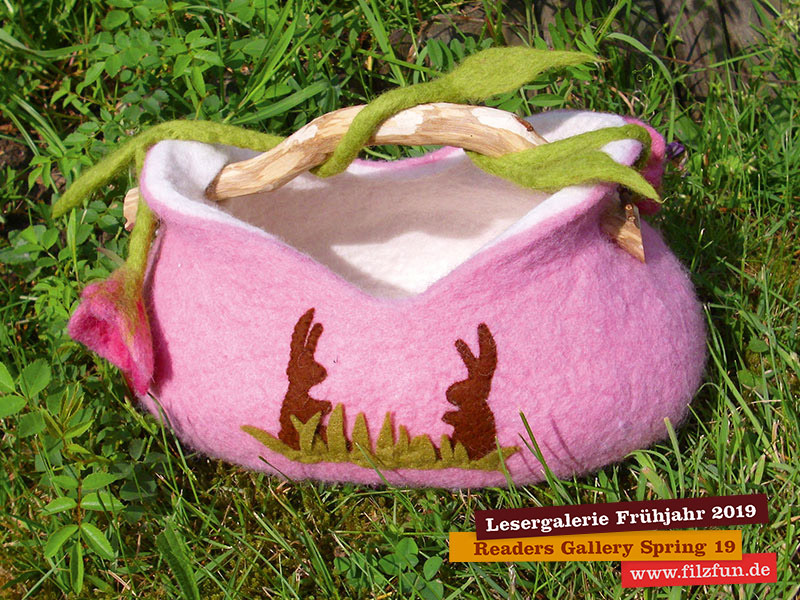 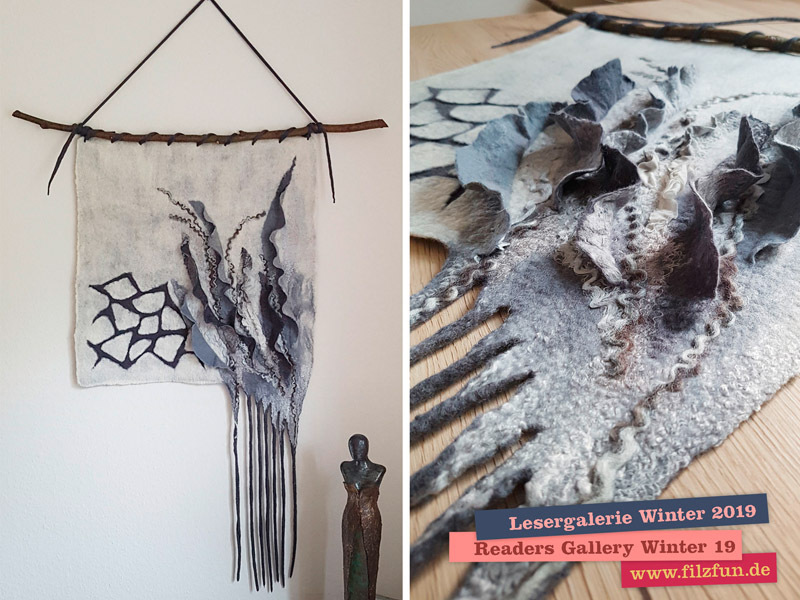 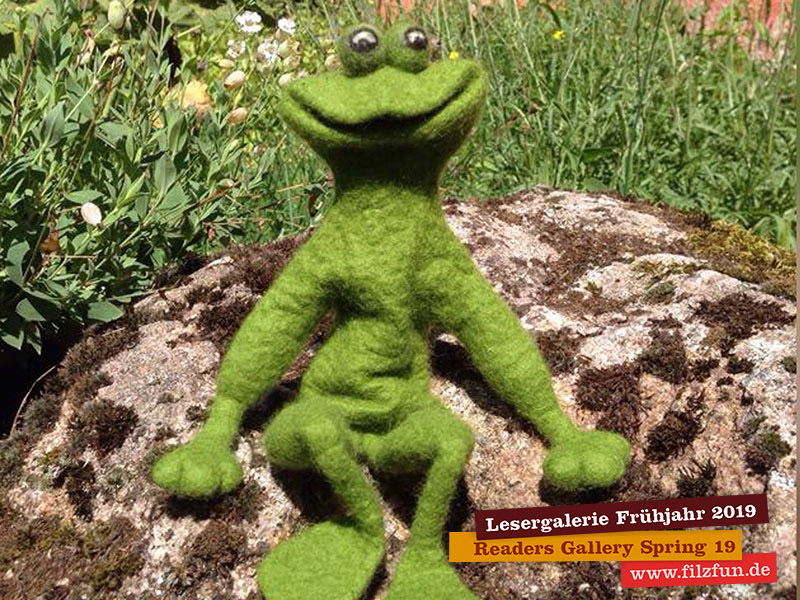 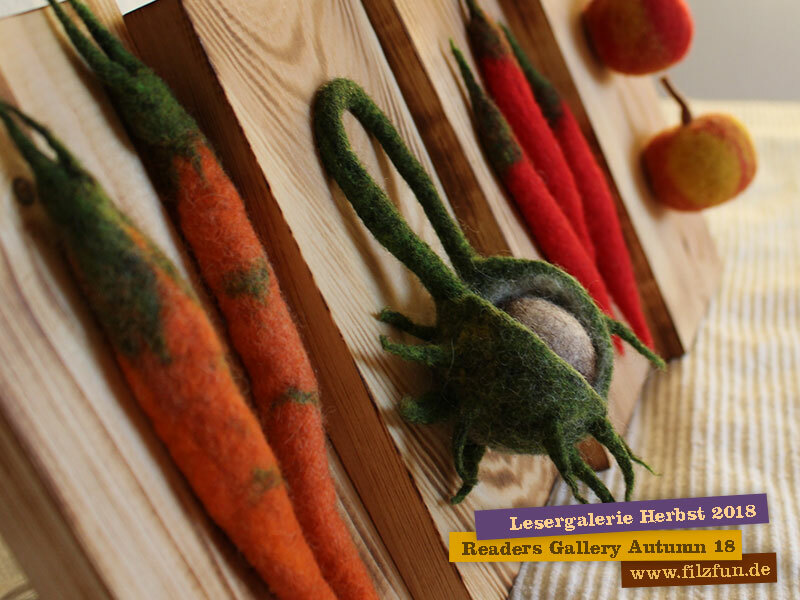 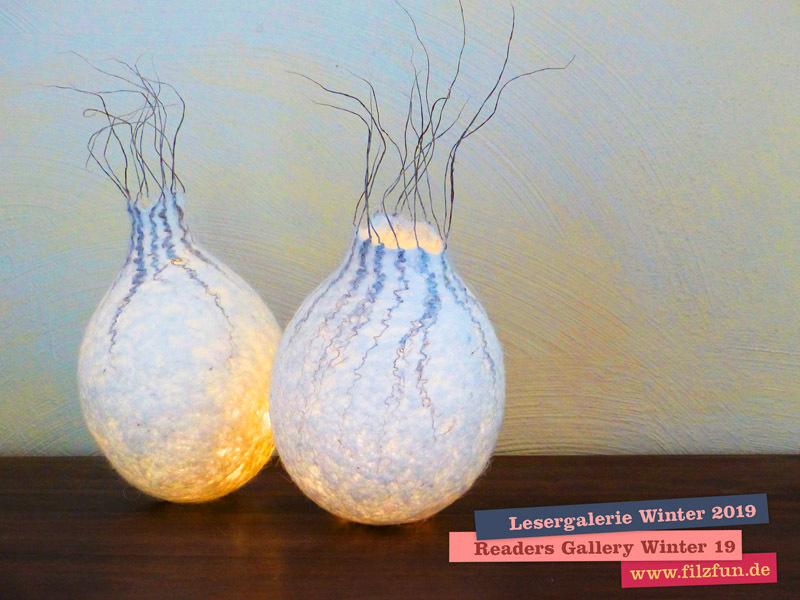 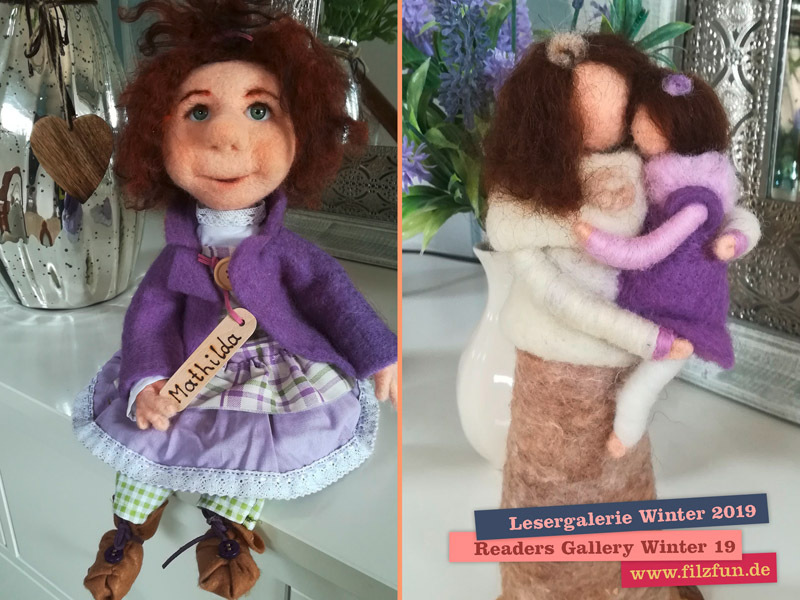 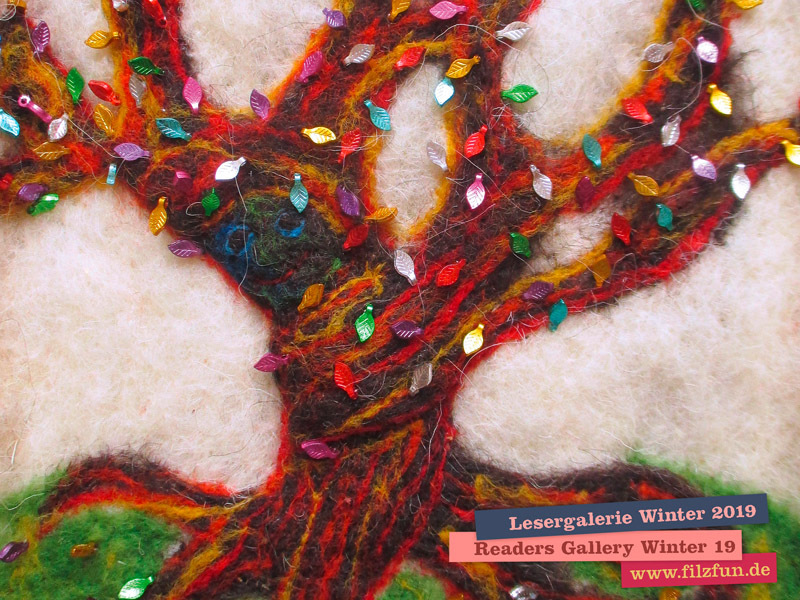 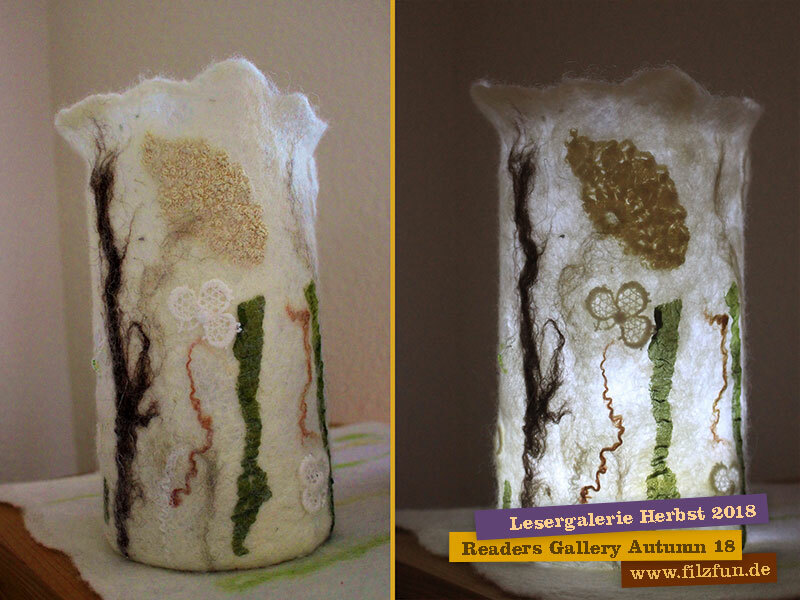 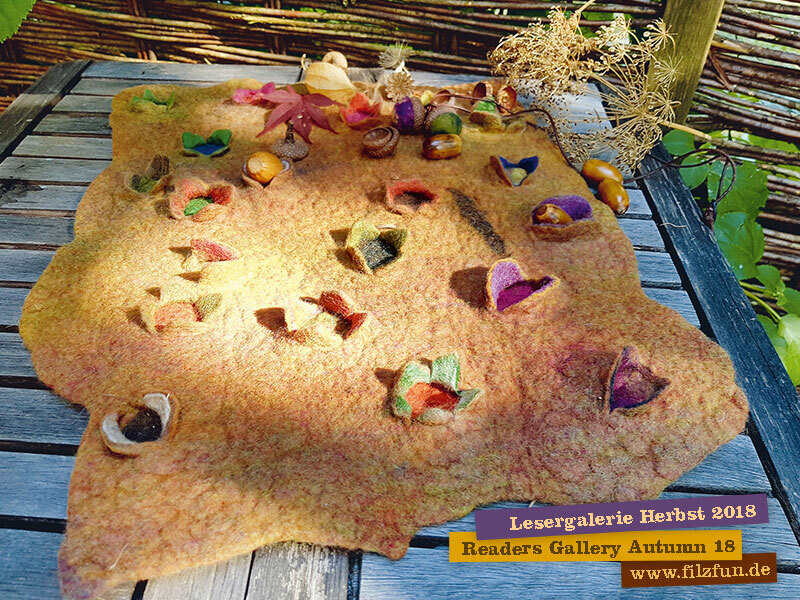 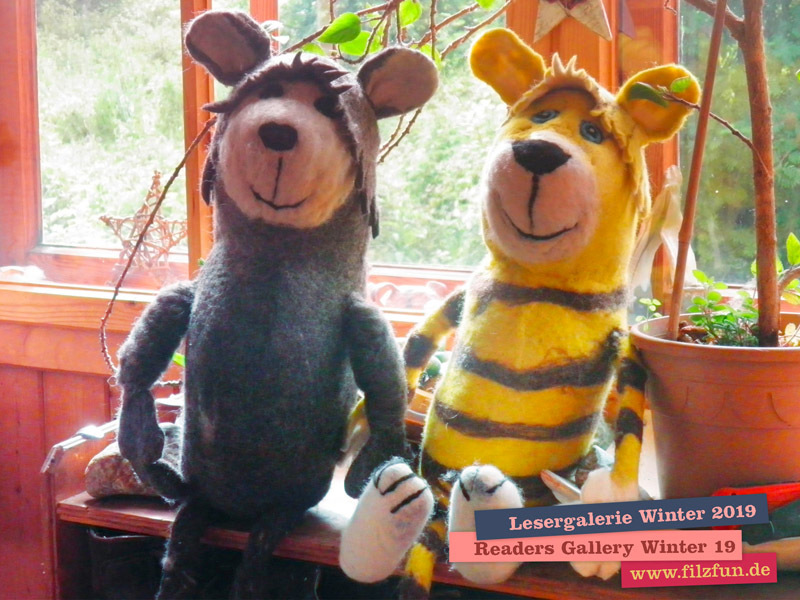 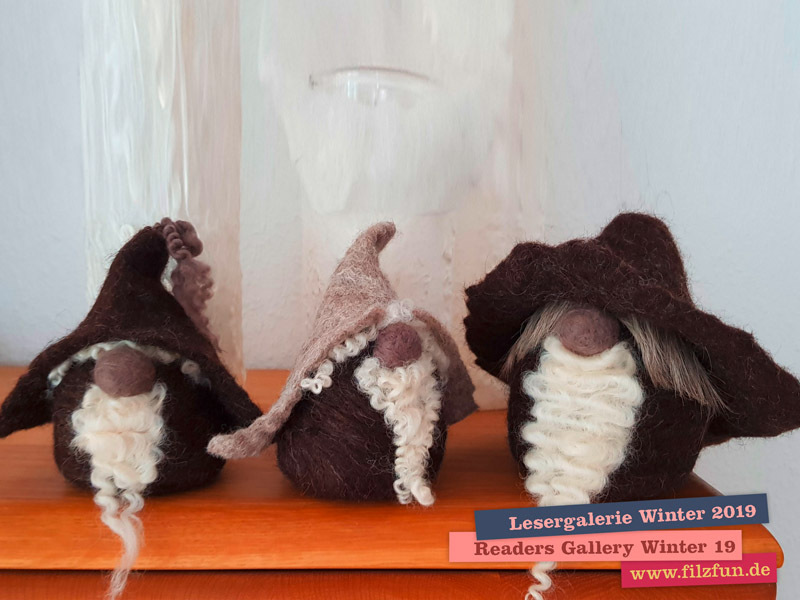 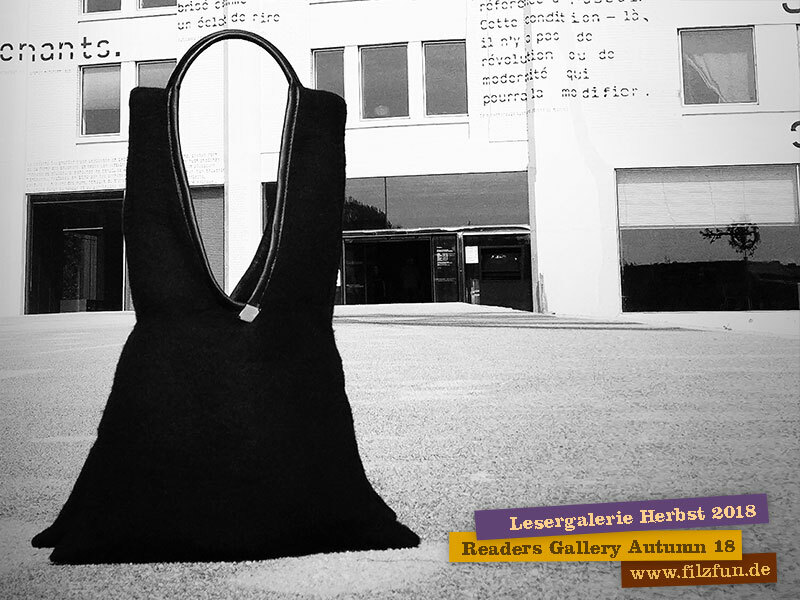 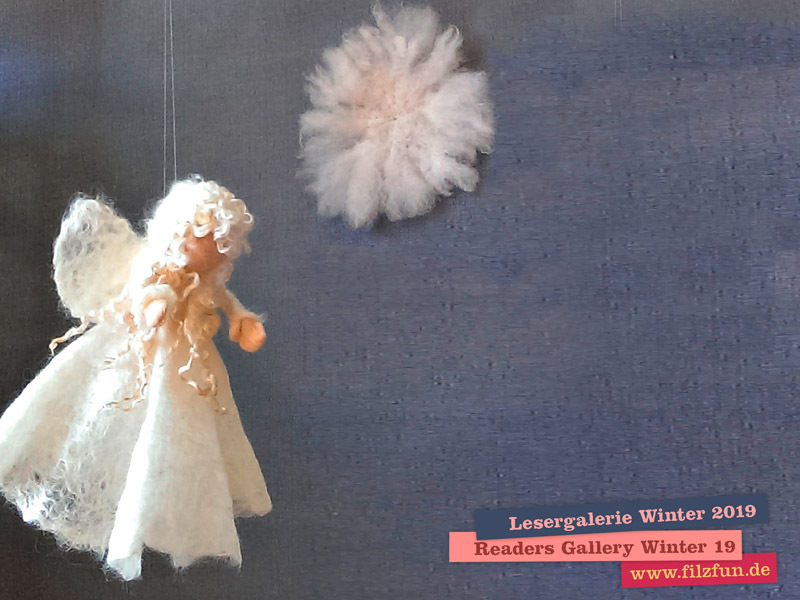 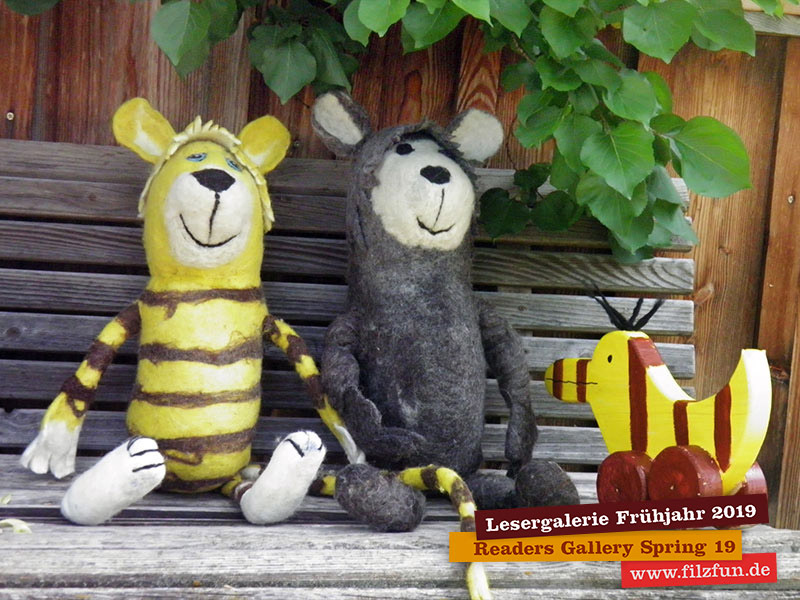 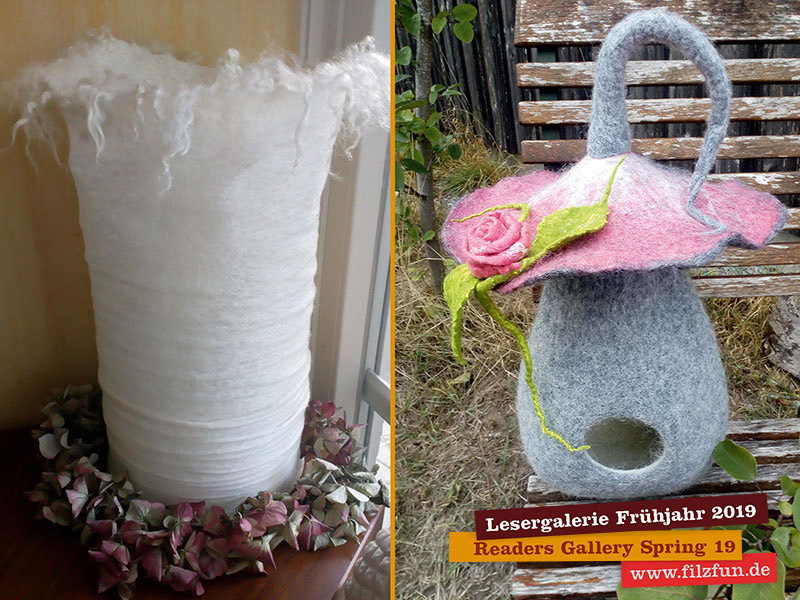 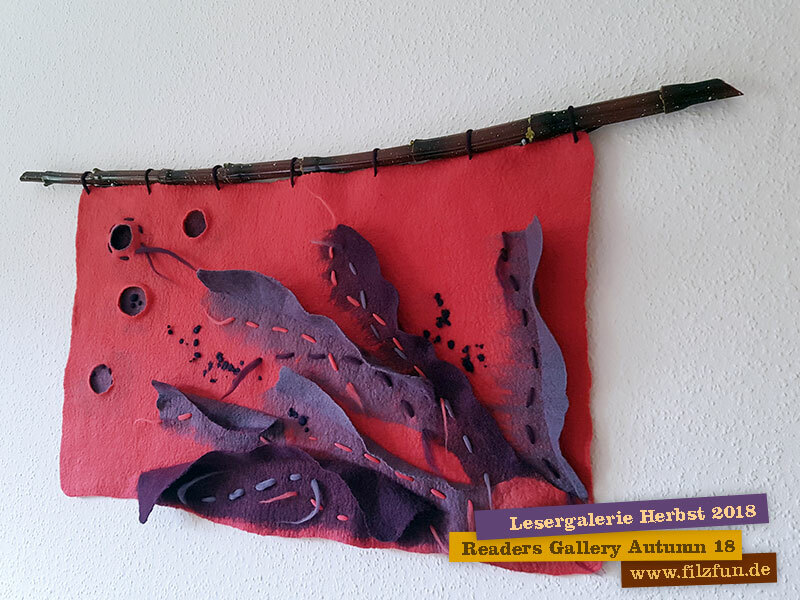 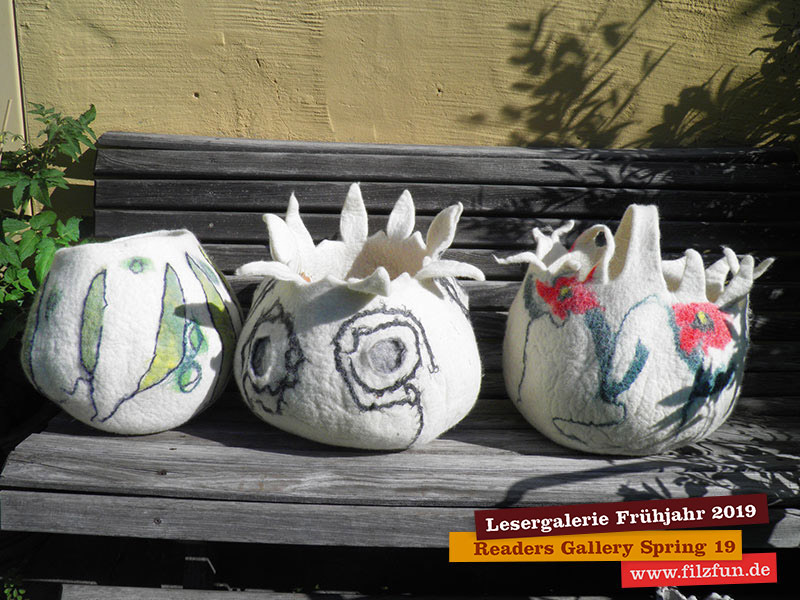 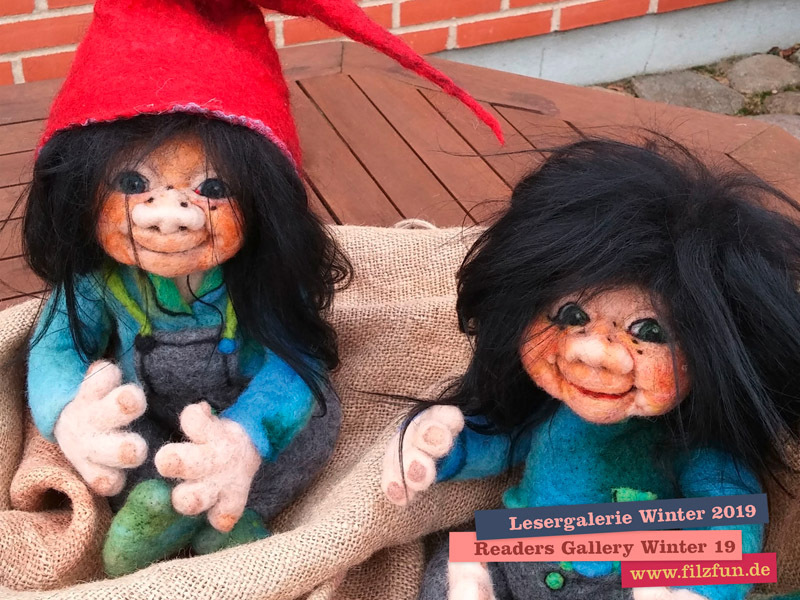 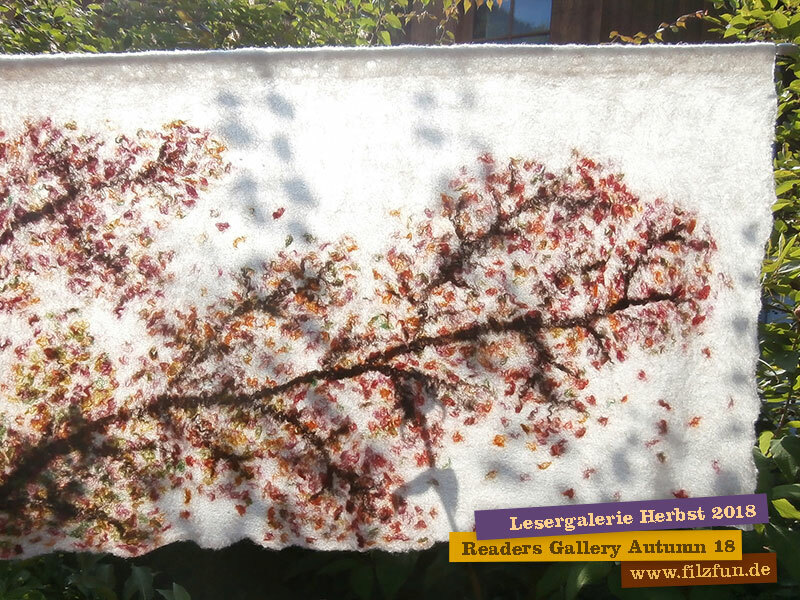 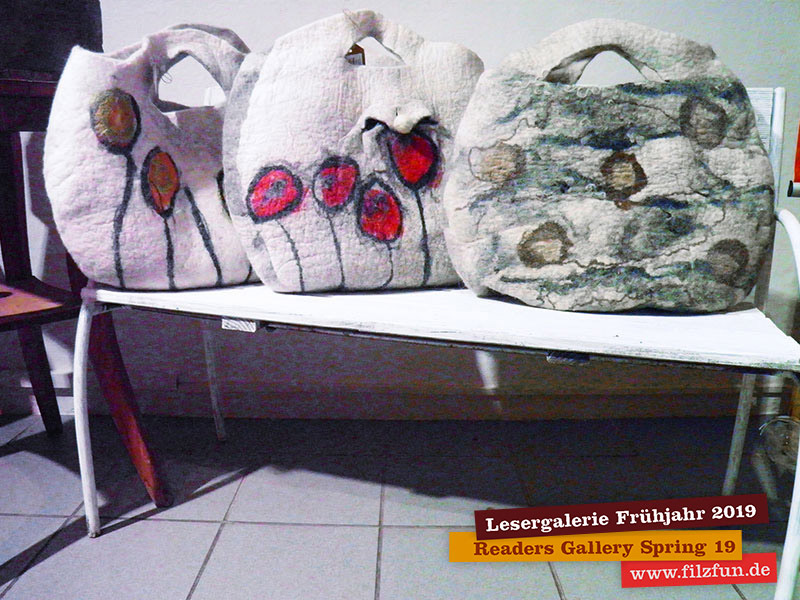 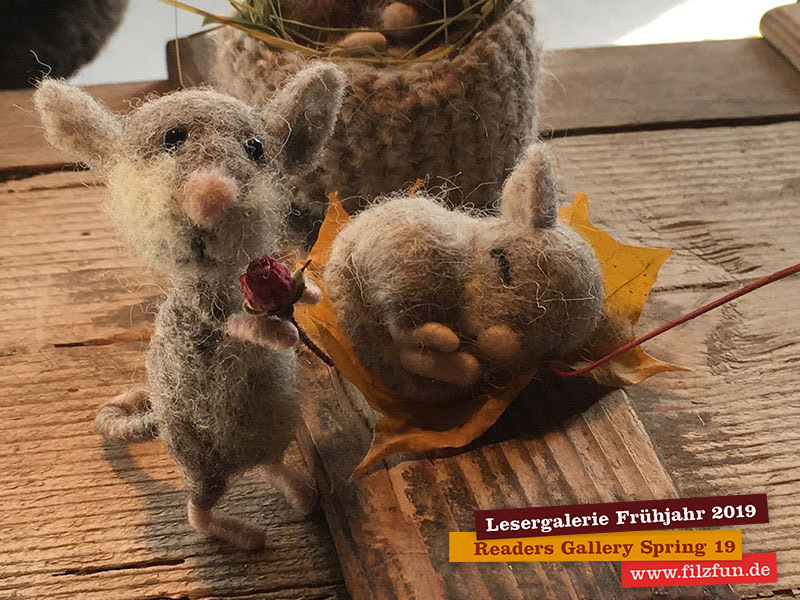 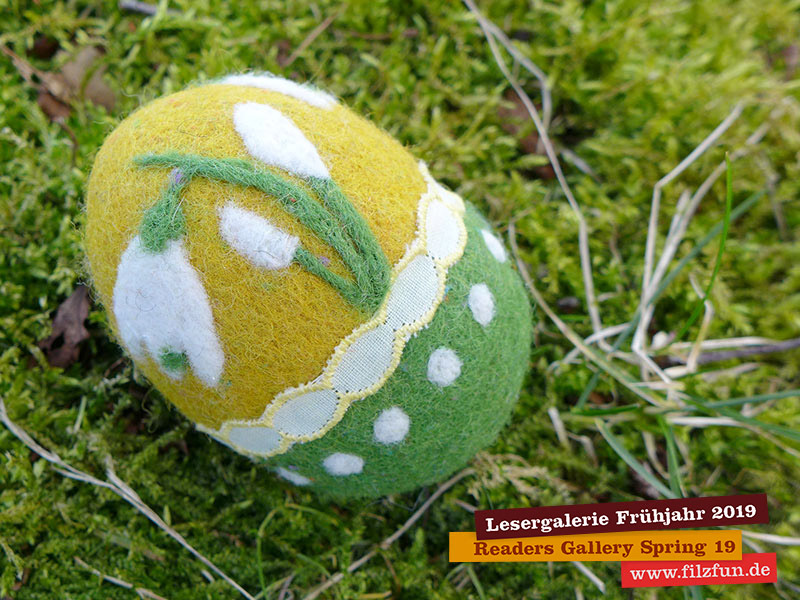 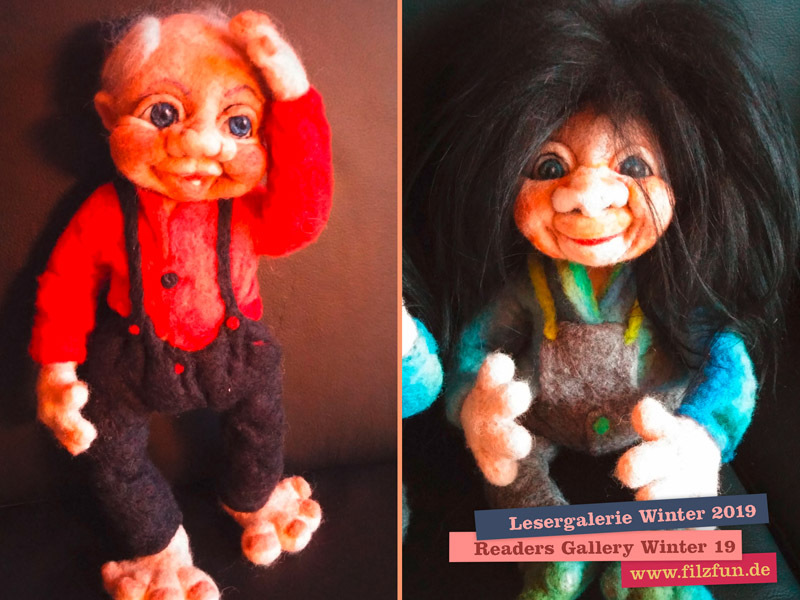 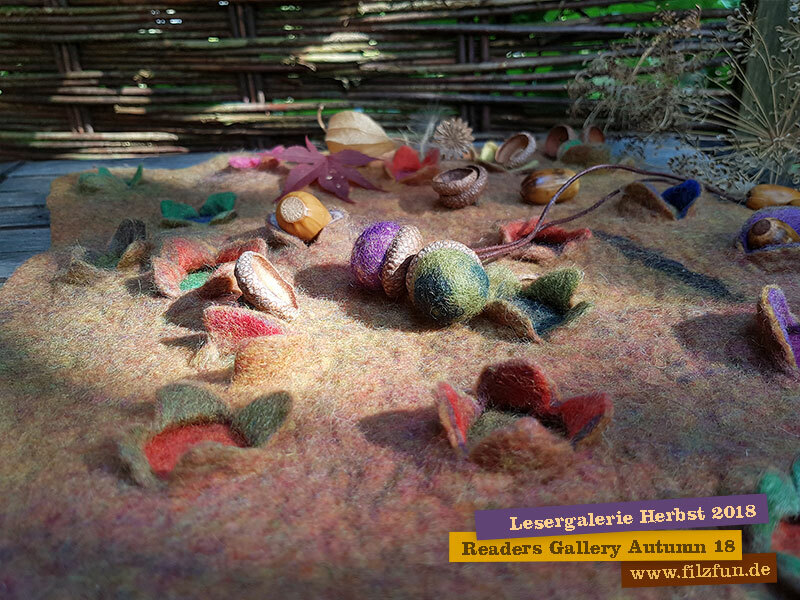 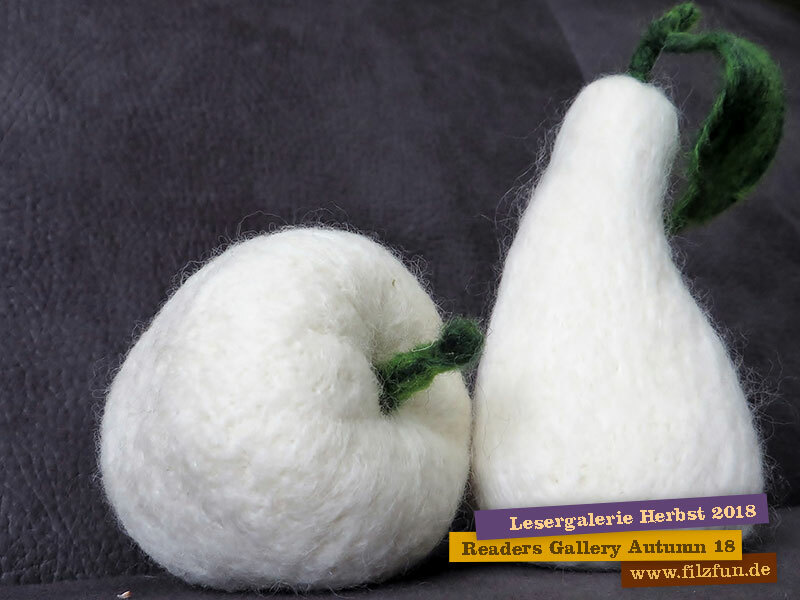 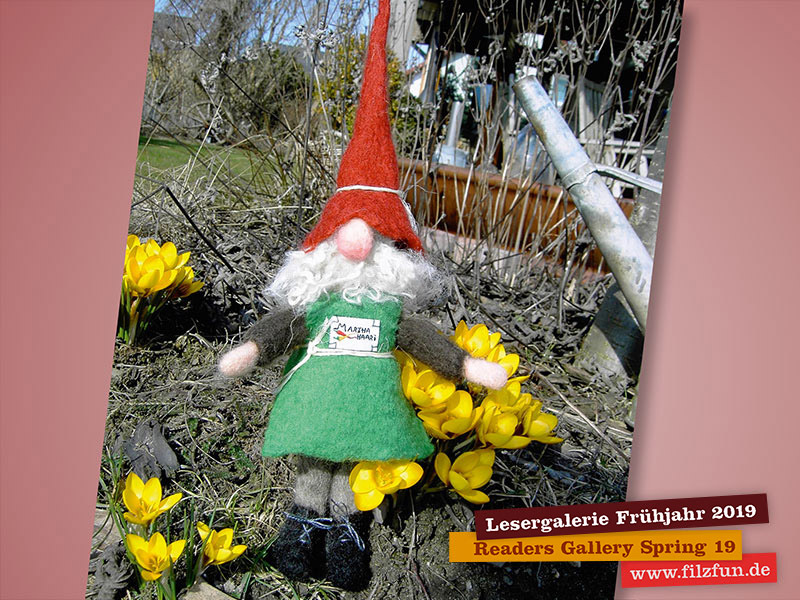 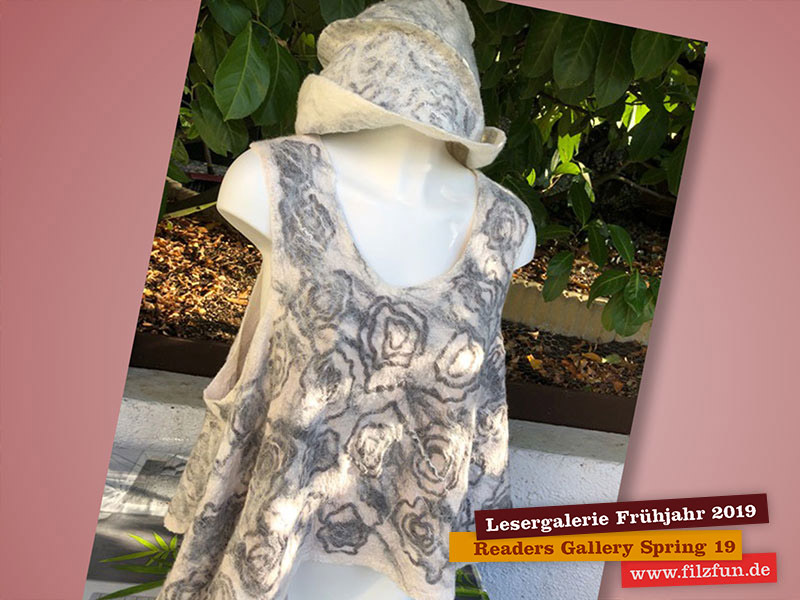 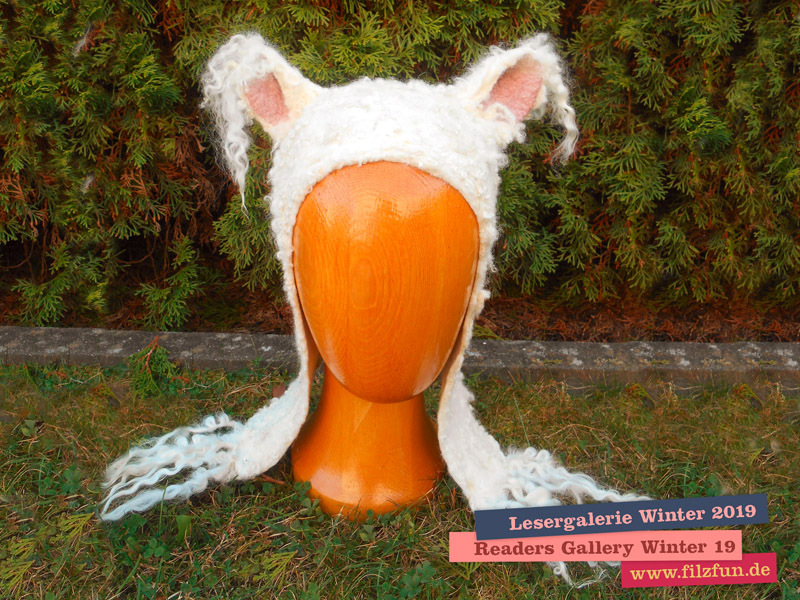 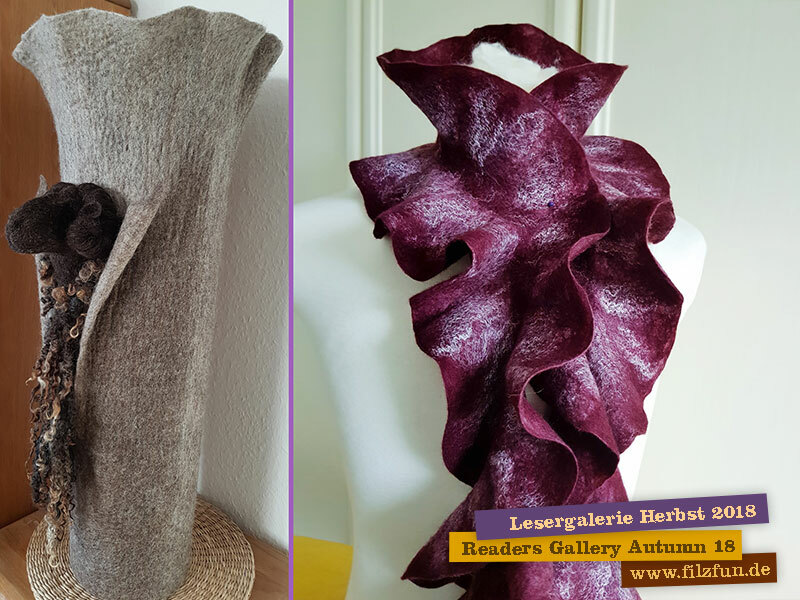 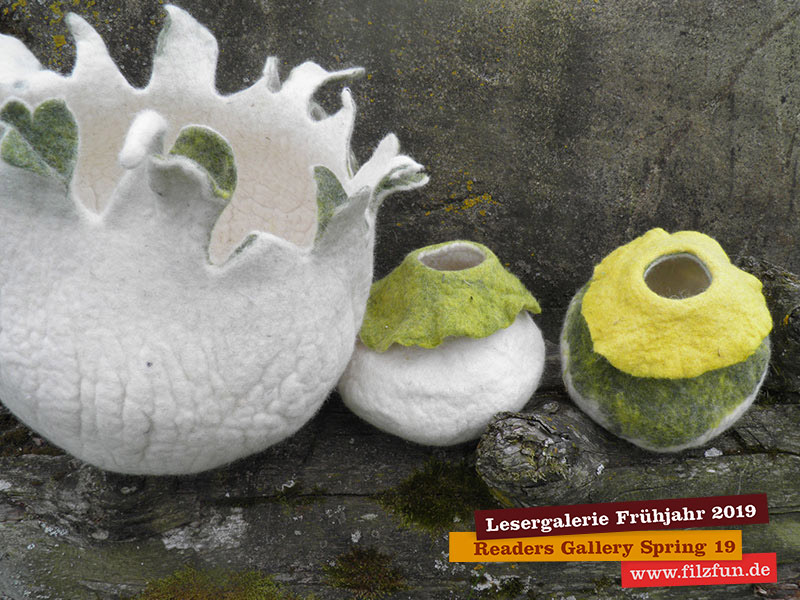 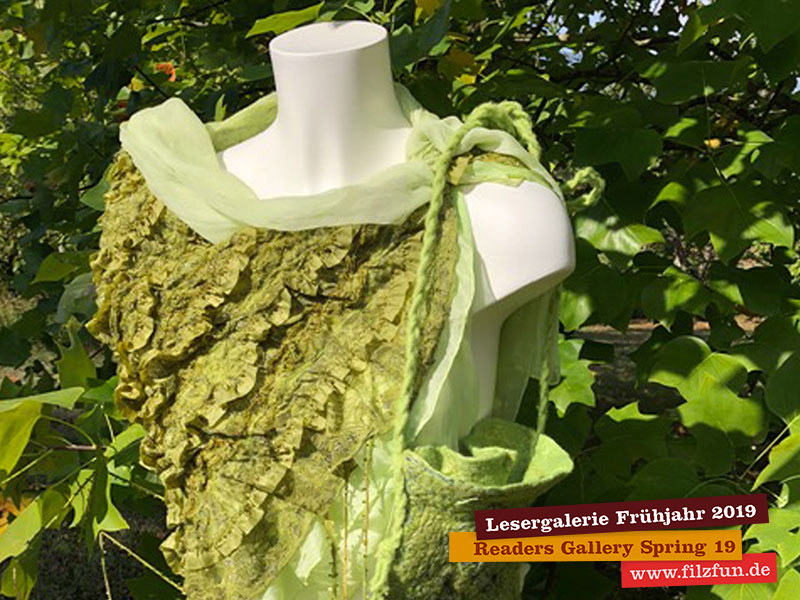 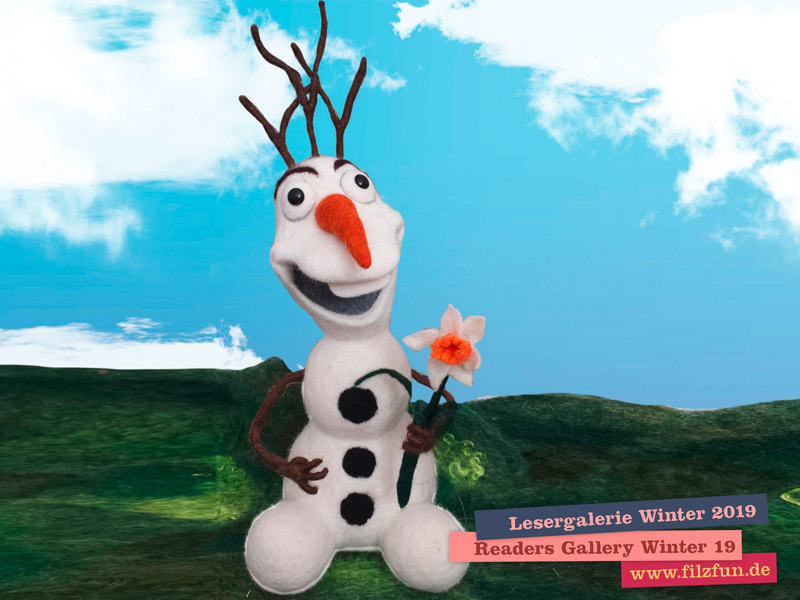 If you would like to present one of your recent creations in our readers gallery, please send us a picture to lesergalerie@filzfun.de. 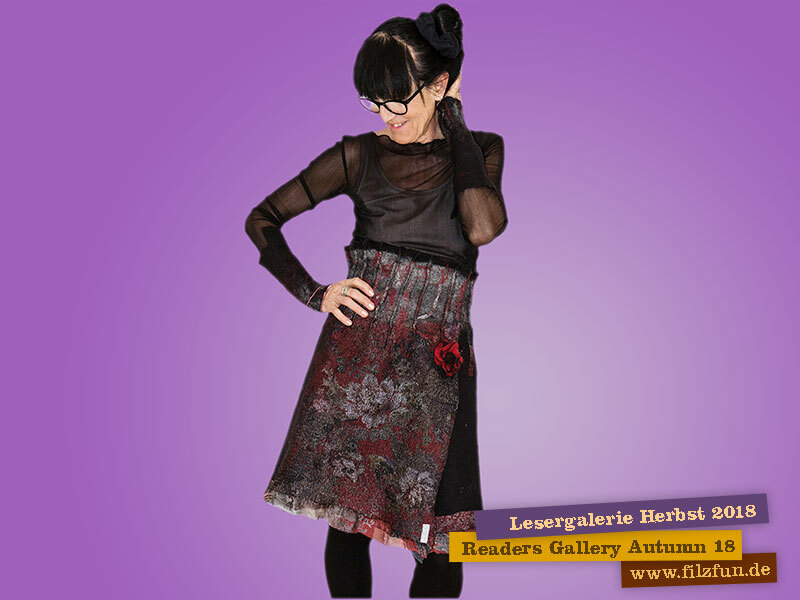 The picture has to be in high resolution. 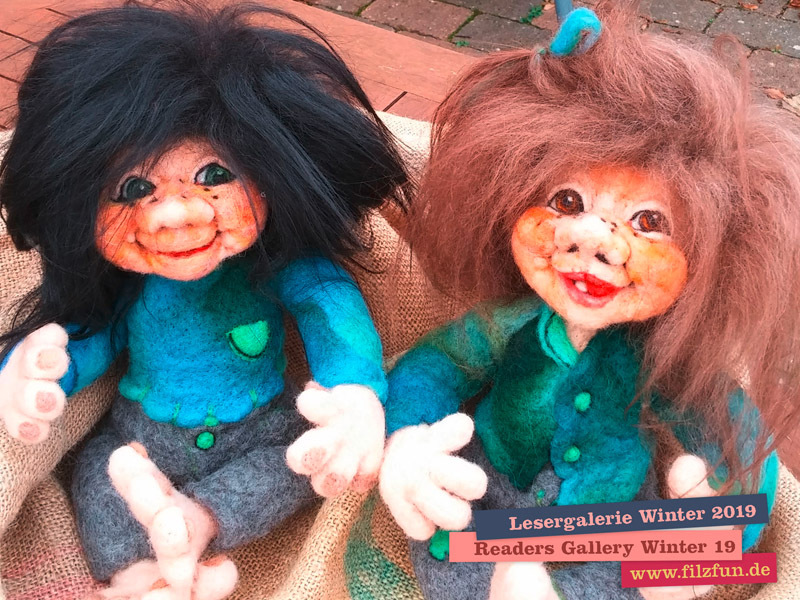 We are looking forward to your email!